Péricles is ending 2010 with a bang by releasing a new model at Paper Commander! 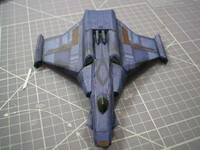 This is the nifty Rapier II variant seen in Super Wing Commander. It's very intersting to see how it compares to his last model, the Rapier Blade from WC Arena, which was based off the SWC Rapier. 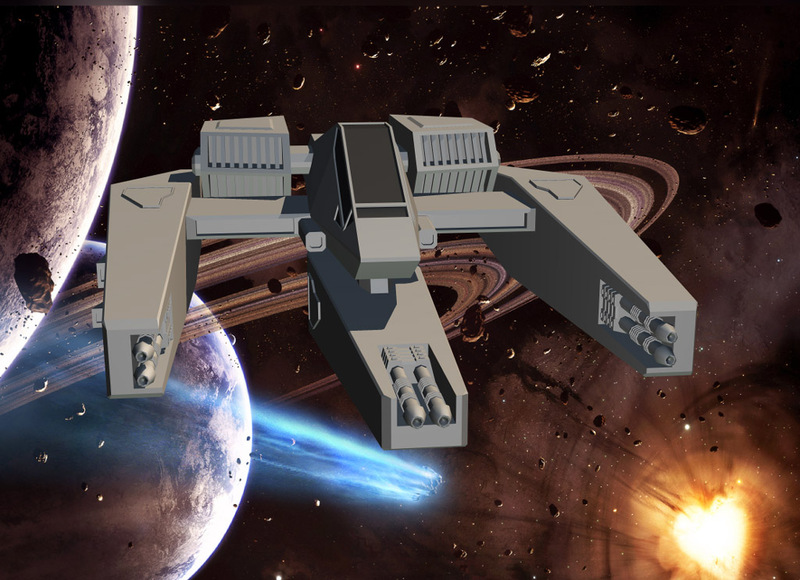 Each of the shots below shows the smaller "tabletop" version of the ship, but the posted instructions are for a full-sized 1/100 scale fighter. 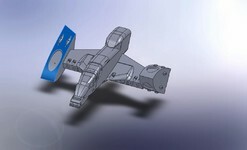 You can download the construction materials in both PDF and Pepakura here. Hello my friends! After a long hiatus. I've made a Christmas Gift for all. 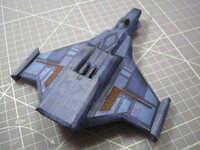 The Rapier from Super Wing Commander is ready to download and build at the Paper Commander site. This model is 1/100 scale and pretty simple (only 22 pieces), but not for beginners. A very special thanks to Kevin Caccamo for generously sending me a Rapier model for this. 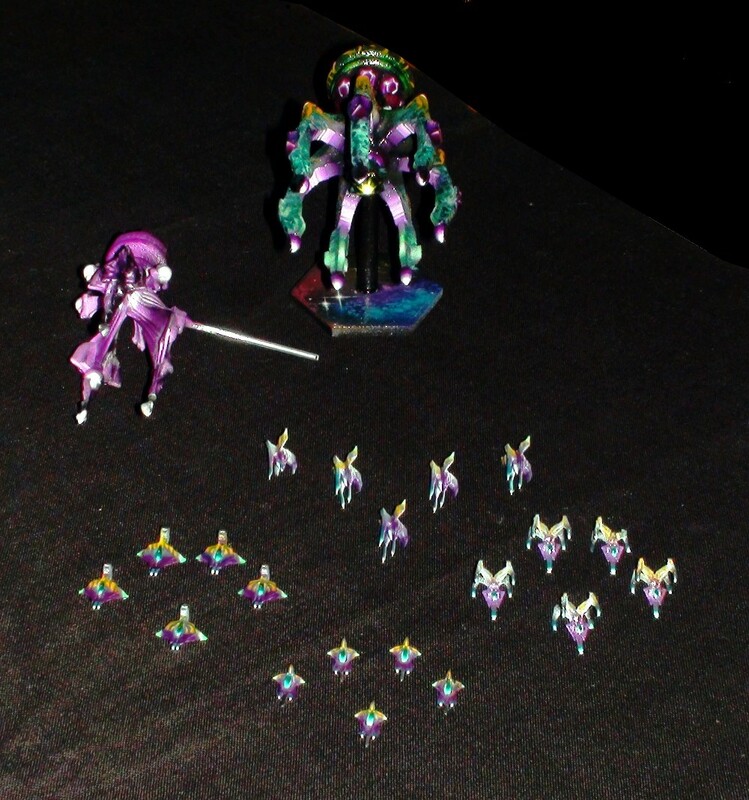 In the pics, my beta is a small wargaming scale, but the files included are redimensioned to 1/100. Here's another big batch of cockpit screenshots from the Wing Commander Hostile Frontiers mod. 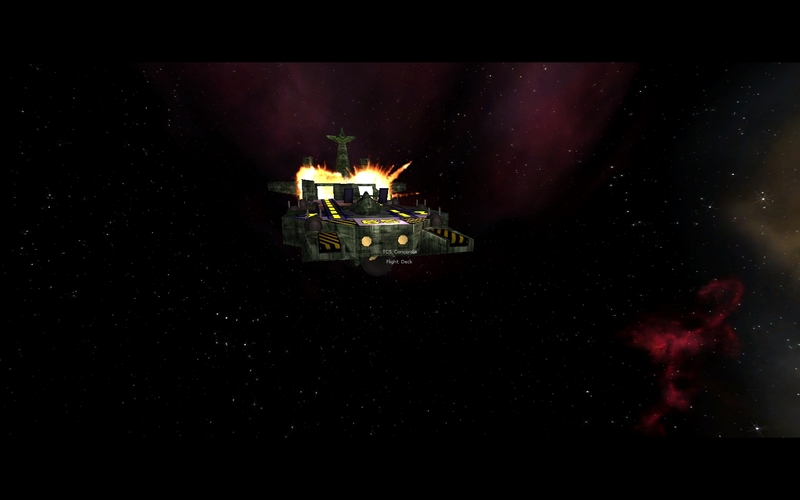 This is an especially explosive batch with lots of capship combat in view. Kevin Caccamo has also posted a lengthy history on the mod and how it got to where it is today. And now for another big batch of screenshots, showing off lots of capships, lots of firepower, and lots of explosions. WCHF started in 2007 as a "Landreich Campaign" mod for WCSaga Prologue when I was on the Saga team, but shortly after, I left the Saga team due to "creative differences". 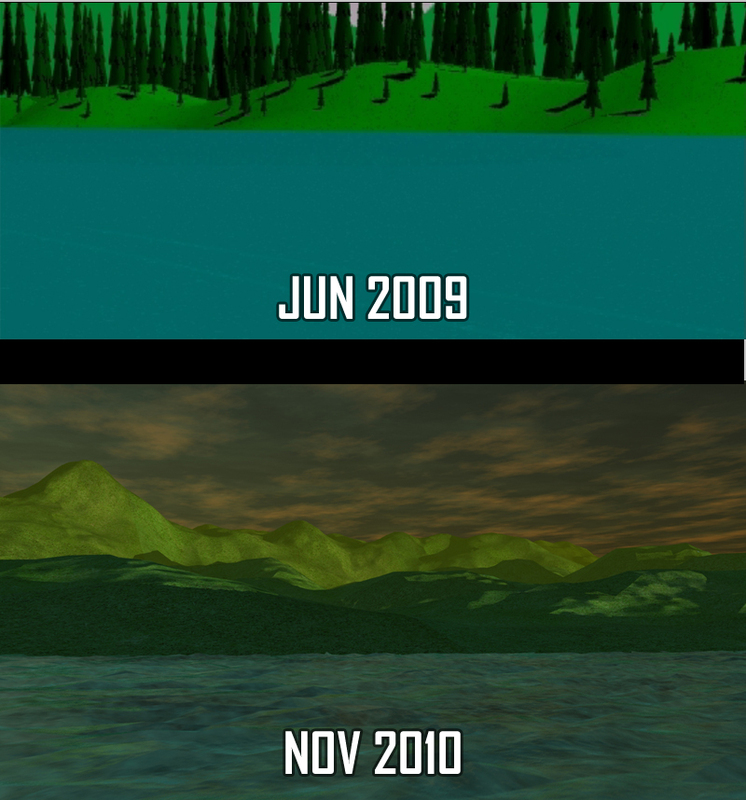 It went very slowly in 2007 and 2008, and I needed help with the textures if I was going to move on. I was going to get JasonRocZ to do some texture work, but he wasn't always available, and the project was in hibernation for a while due to my lack of knowledge on how to make good textures. A month or so later, I finally got an idea on how to make half-decent textures. 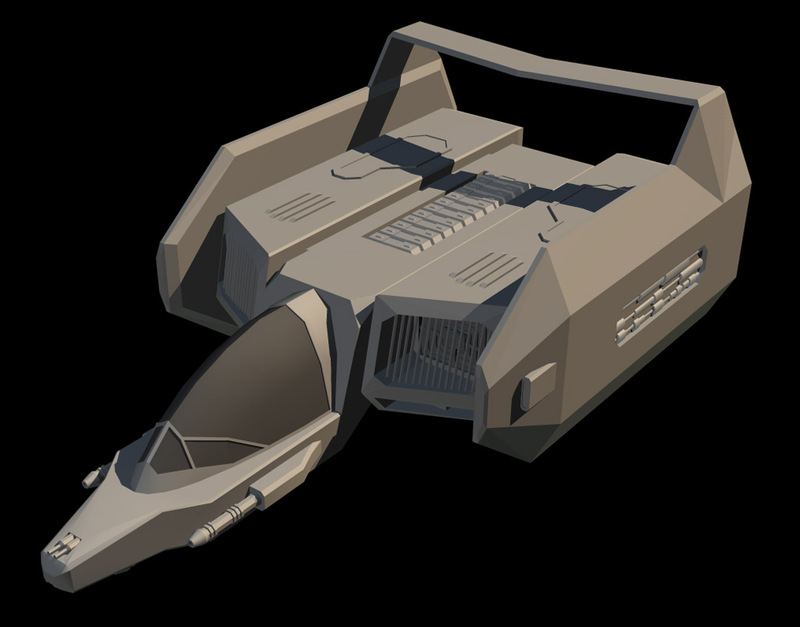 I sometimes refer to the time before this texture idea as the "Old Hostile Frontier" because, when I put that texturing idea into action, it almost seemed like the project had taken a completely different direction. Then, I did a lot of retexturing, converting, and coding the Standoff models into the game, and progress on the project's assets went much quicker. 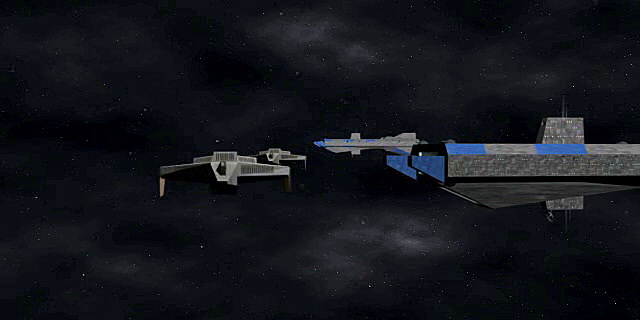 I also made some of my own models, like the Andrew Carnegie and the Rapier II, and converted them to work in game. After that, I got involved with another (as of yet unannounced) WC project, and I was able to improve my texturing style greatly. Unfortunately due to my unwillingness to read (or re-read) the WC novels, I made 3 unsuccessful attempts to begin progress on the missions, which is one big reason why it's taking so long to get this project released. Now that I have a stable base to build my missions on, release time will depend on my commitment to the project, the time I have to work on the project, whether the script is complete for the mission I'm working on, and if I have the skills to make the mission. 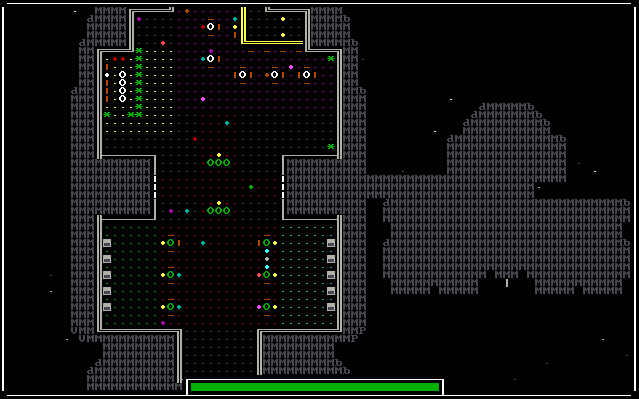 Ascii Sector has reached version 0.7.1.2. 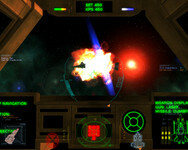 The latest update fixes some bugs and makes some explosive gameplay tweaks. 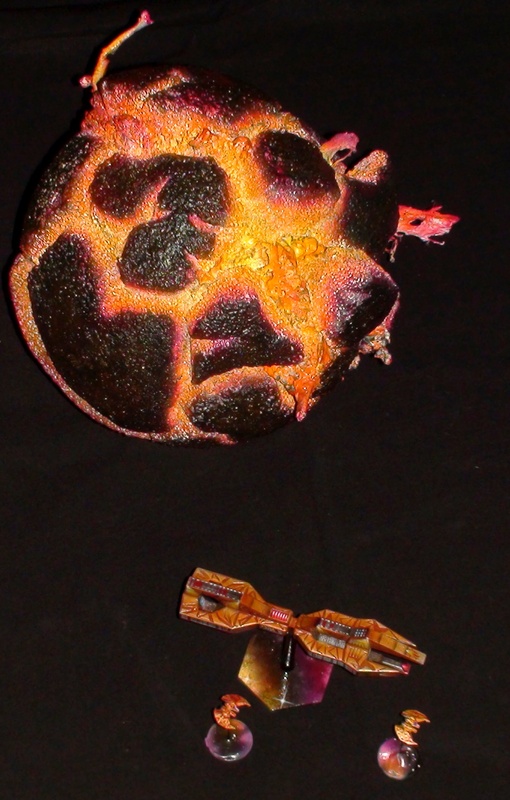 "Live grenades" tossed in storage now combust and smoke! A confounding bug that could crash your game after lengthy sessions has also been squashed. 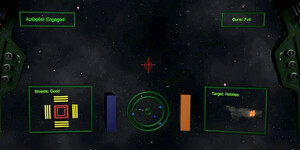 - Fixed bug with character pathfinding that could crash the game after many launches and landings in one gaming session. 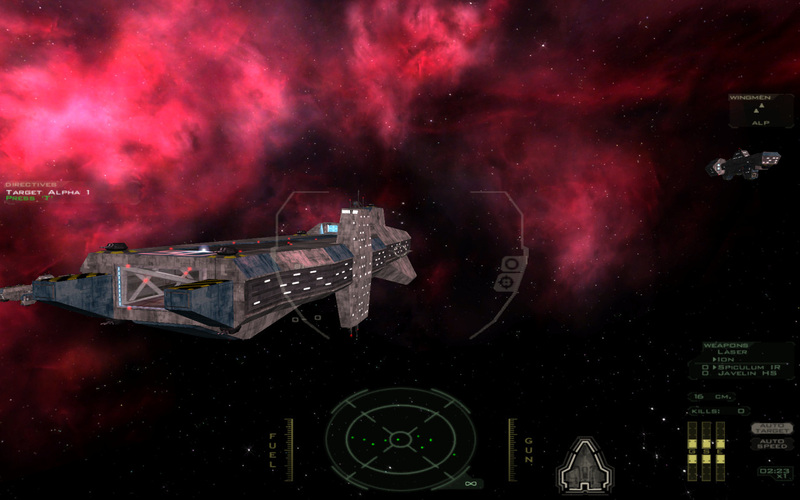 - Fixed bug that made it impossible to dock with a quest ship with the DontMove order. - Fixed some instances of weight of grenades not being subtracted from your inventory weight when thrown into water or exploding in your hand/backpack. Also fixed weight issue when combining ammunition, ultimate or brilliance clips/containers. 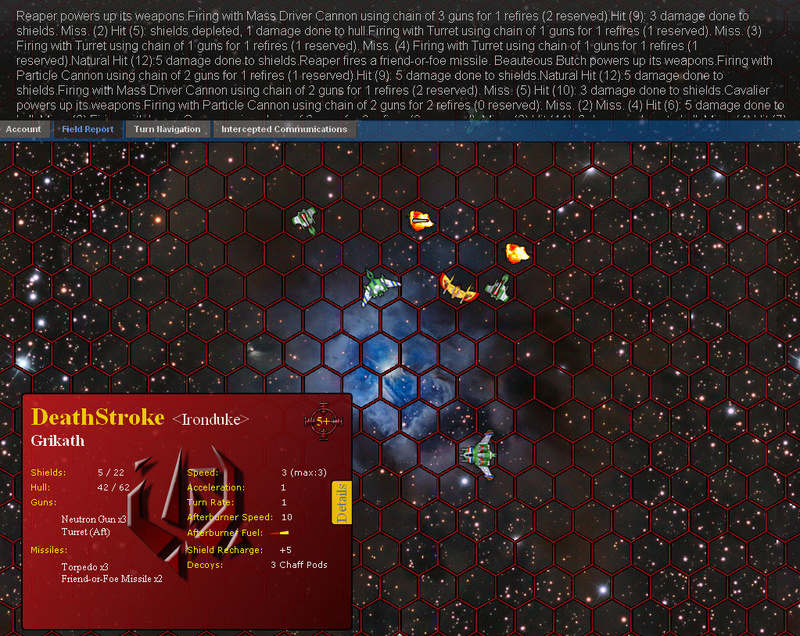 - Fixed instances of the player recovering more than max health. 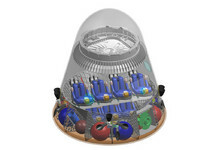 - Live grenades in your backpack and locker now explode and emit smoke. 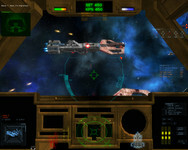 - Moving a target character to a ship and then destroying the ship should now result in the mission being completed. The CIC's annual Wing Commander Fan Project & Web Site of the Year contest kicks off in just a few days, so now is your last chance to nominate your favorite picks. Mail nominations in now! Thanks to all those who have already sent in suggestions. You can find a list of all past winners here. Starman© has been on a WC modeling binge this year, and he's got quite a few detailed models to show for it. They're just the geometry right now, and they already look pretty sharp. The models are also available to aspiring artists up to the challenge of texturing them. Here are his Border Worlds designs. You can find even more pictures here. Since Wedge did some work in providing me with images a while back, I thought the least I could do is to show the results before they only lie around on my HD. 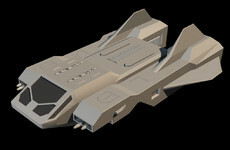 The fighters are free for give away if anyone is interested and wants to texture them. 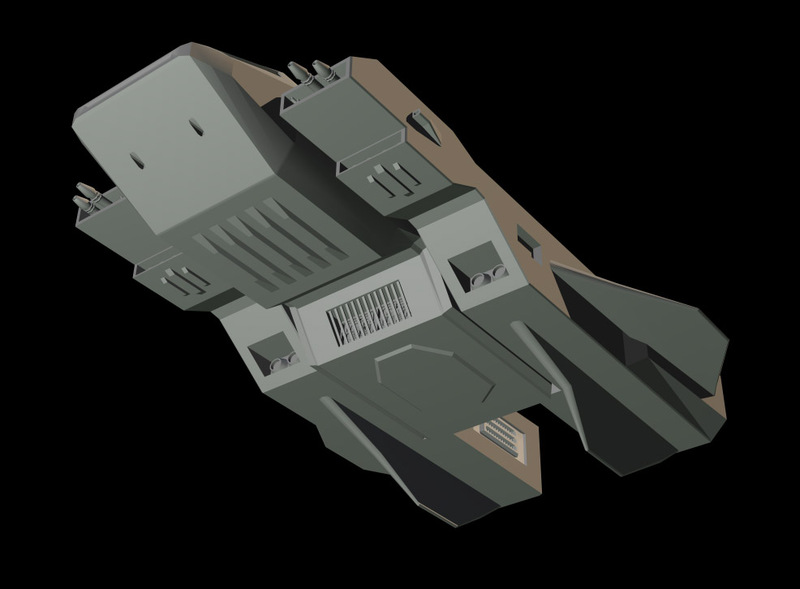 Technically the capships too, but some of the greebles are not my doing, so I might change it a little before releasing. If someone is interested, contact me. 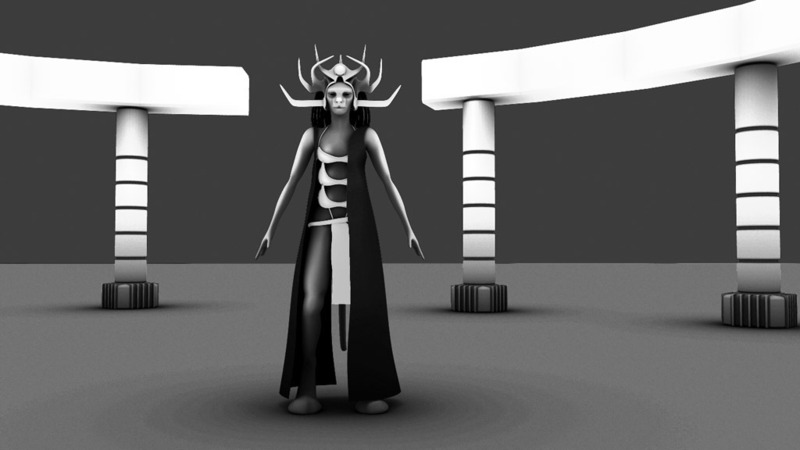 Kevin Caccamo has updated his OBJ2WCP program that imports OBJ files into the Vision Engine. Some Prophecy/Secret Ops modding experience is needed to understand how it works, but some basic instructions can be found here, and the new 1.1 version of OBJ2WCP can be downloaded here (16 k zip). Update: Objects converted by OBJ2WCP now render properly in-game! I'm trying a bunch of different algorithms to calculate the unknown1 value. Let's see if this one doesn't totally eliminate the disappearing faces problem. 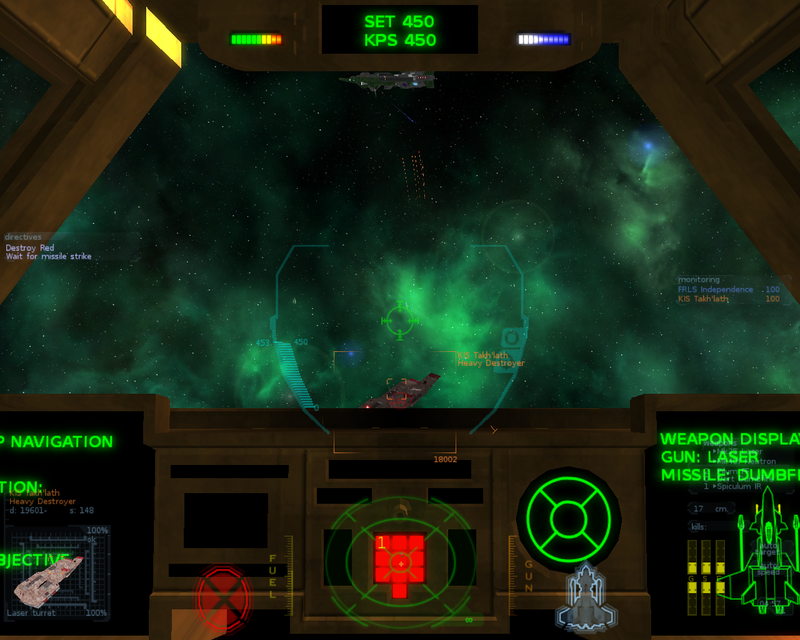 Here's a screenshot of my WCUE mod, featuring a Scimitar cockpit converted by OBJ2WCP. 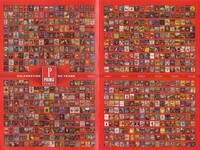 Kotaku has posted an impressive Christmas card from Prima Games. It includes a fold-out poster showing the covers of the hundreds of game guides they've published over the last twenty years... which, of course, includes several Wing Commander books! 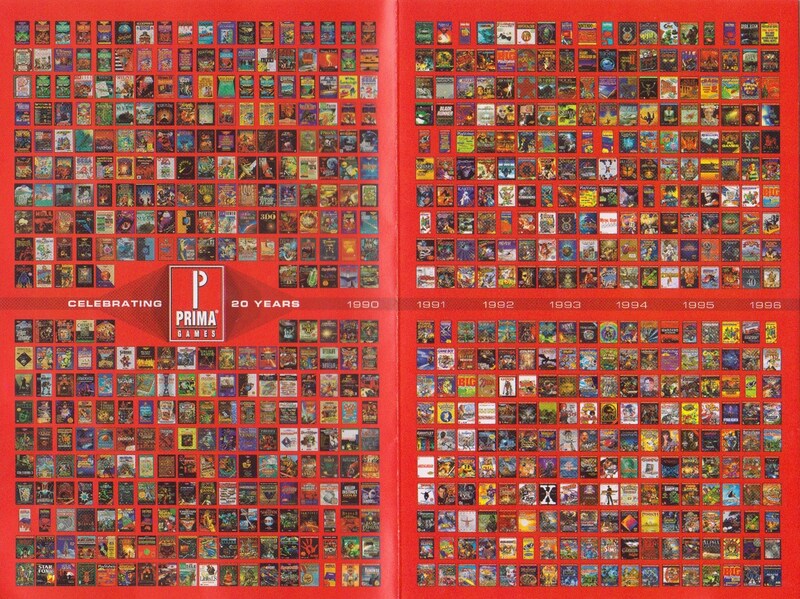 The poster is an awesome walk down memory lane... and it's great to see that someone at Prima remembers all these books. Wouldn't it be great if they sold classic gaming guides as ebooks? 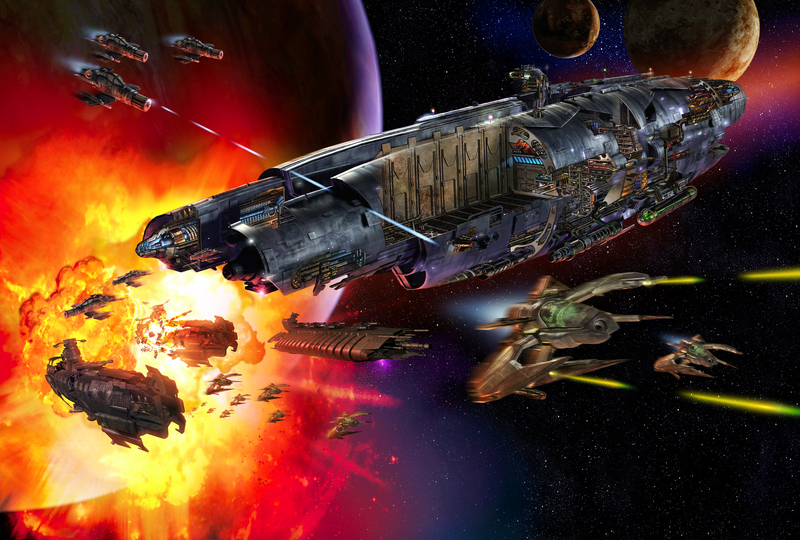 We've tracked down all five of Prima's Wing Commander titles in the matrix... what other Origin guides can you locate? It wouldn't be a Wing Commander Christmas without an extraordinary new holiday wallpaper from Marc... and he has outdone himself this year! 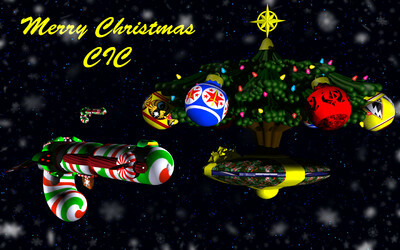 He explains: "If you're having trouble figuring out why the tree and its balls are all out of wack just think WC2 space station." As if there was any question! You can find Marc's previous Christmas images here: 2006, 2007 and 2009. Merry Christmas, everyone! Be sure and check out our next update for another special gift for the community. 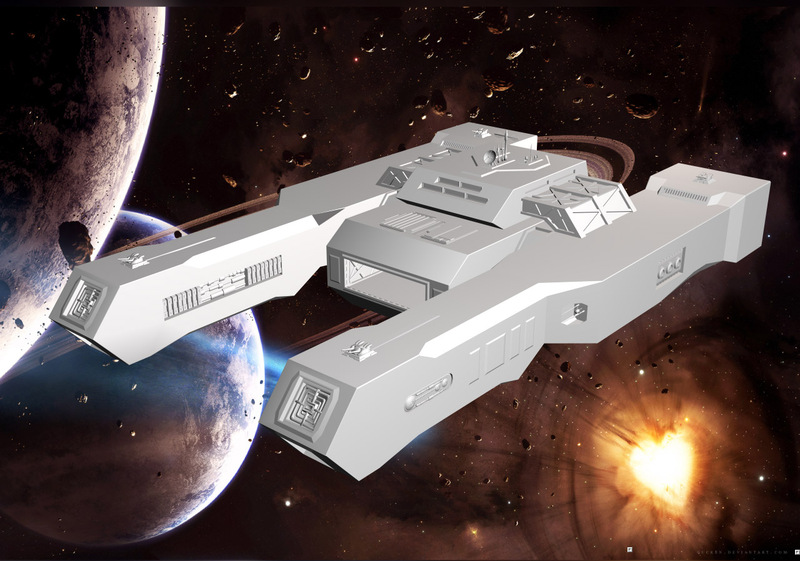 In 1999, a company called SciPubTech announced plans to publish a poster of the Wing Commander movie's version of the TCS Tiger Claw. It was a very exciting prospect--SciPubTech was known for mind-blowing cutaway posters of Star Trek and Star Wars spacecraft. Sadly, it was not to be: the poster suffered several delays and the release was ultimately cancelled. 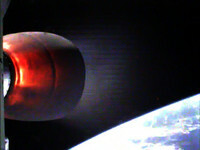 Thanks to a postage-stamp sized preview showing the unfinished image, though, fans knew that a great deal of work had been done on the project. Years of repeated attempts to contact SciPubTech about the image were met with silence; either the company had gone out of business entirely or they just weren't interested in talking about the Wing Commander poster. Finally, we decided to try a new tactic--find the artist responsible for the poster. Research revealed that Christopher Cushman was the man responsible for several of SciPubTech's iconic Enterprise posters... and NinjaLA was able to track him down! Christopher turned out to be a very kind person and a fellow sci-fi aficionado who appreciated our cause. We learned that the Wing Commander poster was actually done by his equally talented brother, Matthew Cushman... and that it was finished and colored! So, without further ado, here is a holiday present for WingNuts everywhere--the absolutely beautiful long lost Tiger Claw cutaway poster! 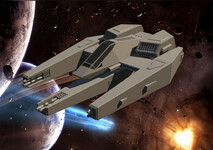 Great news for fans of Wing Commander music: Maz Sound Tools is preparing Immortal 4, a two-disc release of remastered music from classic Amiga games.. and it will include a track from Wing Commander. 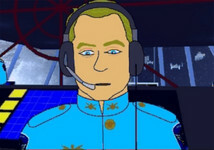 What's more, the Wing Commander track features original composer Dave Govett playing the drums! The release of Immortal 4 will be the 4th strike of the popular Immortal series. Once again producer Jan Zottmann managed to gather the celebrities of the golden homecomputer age of the Commodore Amiga and to let them rearrange the unforgettable music of legendary computer games using all the latest studio technology. The full-to-the-brim Double-CD set Immortal 4 features no less than 35 newly arranged songs (about 158 minutes) of Amiga game music. Most of them have been created by their original authors - trademark and good tradition of the Immortal series. We couldn't even stop them to play live-instruments, you'll become earwitness when Al Lowe himself (Leisure Suit Larry) is playing the saxophone, Jon Hare (Cannon Fodder) being back at the microphone and Dave Govett (Wing Commander) hitting the drums. Numerous classics have been rearranged, such as Lemmings (Tim Wright), Turrican 2 (Chris Hülsbeck), Flashback (Jean Baudlot), Gauntlet 3 (Tim Follin), F17 Challenge (Nicola Tomljanovich) and many more. Exklusive new versions were contributed by legendary demoscene musicians, such as Romeo Knight (at the guitar too) and Jogeir Liljedahl. The catchy melodies once played by a handful of 8 bit samples on the Amiga now experience their rebirth in a colorful mixture ranging from a complete rock band to the fully-fletched synthesizer-setup. 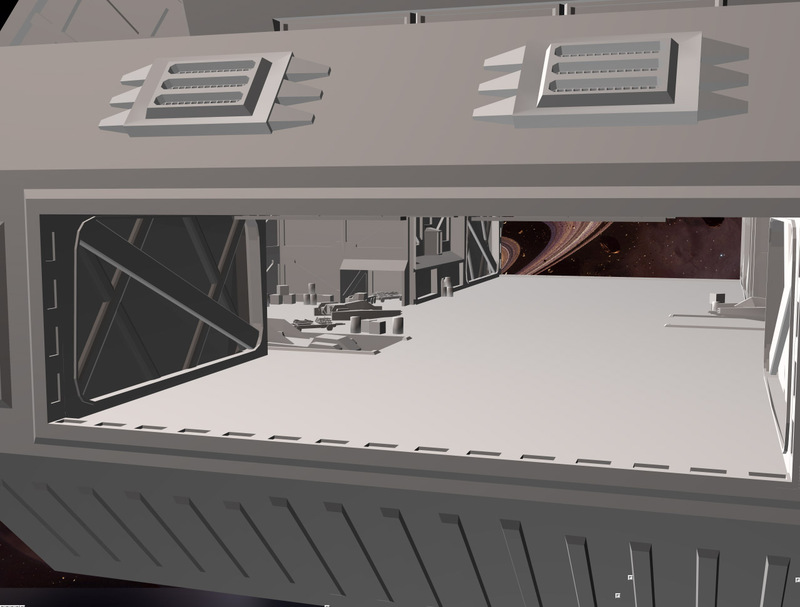 Here's some shots of Hostile Frontier's new cockpit layout. 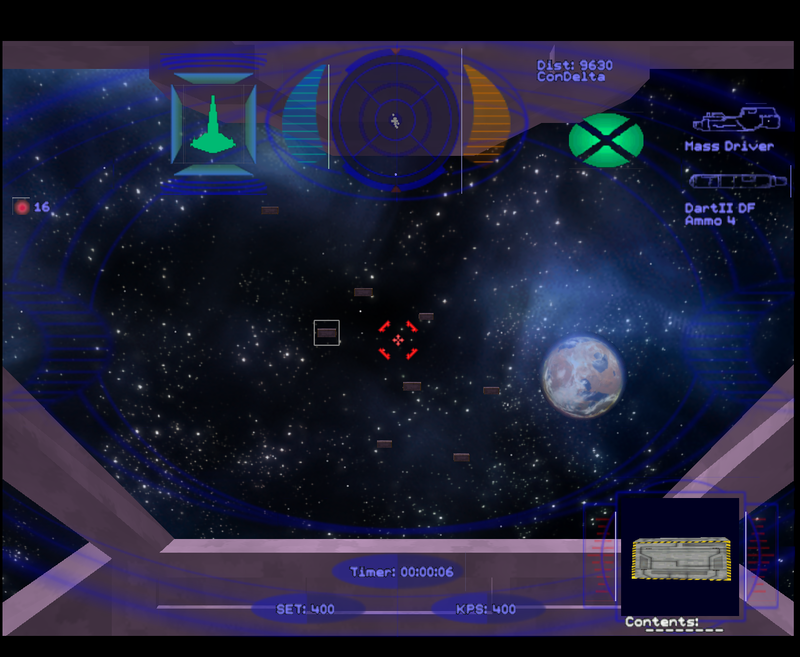 The Rapier cockpit depicted below is fairly accurate, and the superimposed Freespace 2 HUD fits decently well. 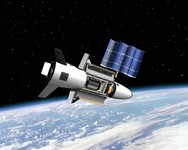 Kevin Caccamo has also provided a list of recent updates relating to missions, graphics and artificial intelligence. 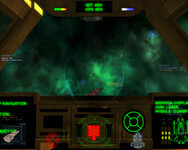 Cockpit update: The cockpit rendering bugs are fixed. I have a few new screenshots of the Rapier cockpit, showing the Indy (my nickname for FRLS Independence) getting destroyed by a spread of CSMs and dogfighting Landreich Raptors in a test mission. The blinding effect seen in the third screenshot is caused by the CSMs destroying the Indy. Mission update: I've gotten a fair way with the WCHF demo missions script, and I'm pleased to say that the missions are just starting to be made, after at least 3 failed attempts to try and begin progress in this area. Wish me luck. AI update: Just recently, I added a more challenging AI to the mod, which gives AI pilots the ability to fly more like humans. 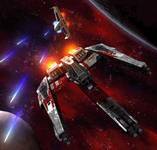 There is a new AI profile and 4 new AI classes, for Rookie, Veteran, and Ace pilots, and capital ships (the AI class of the capship determines the turret firing rate). Graphics update: Since the 3.6.12 mediavps are now out, I've integrated the new explosions, and the flashy deaths/flaming debris effects scripts into WCHF. 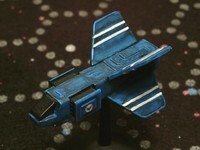 I've also started to make debris pieces for the fighters. Ek'rah Skabak erg Thrak'Kilrah maks Rag'nith! 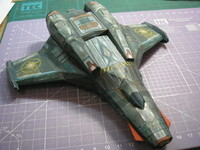 Astro Commander has taken his miniature models to the next level with a gorgeous styrofoam Kilrah. There's lots of nice detail here, but what really seals it is the paint job. 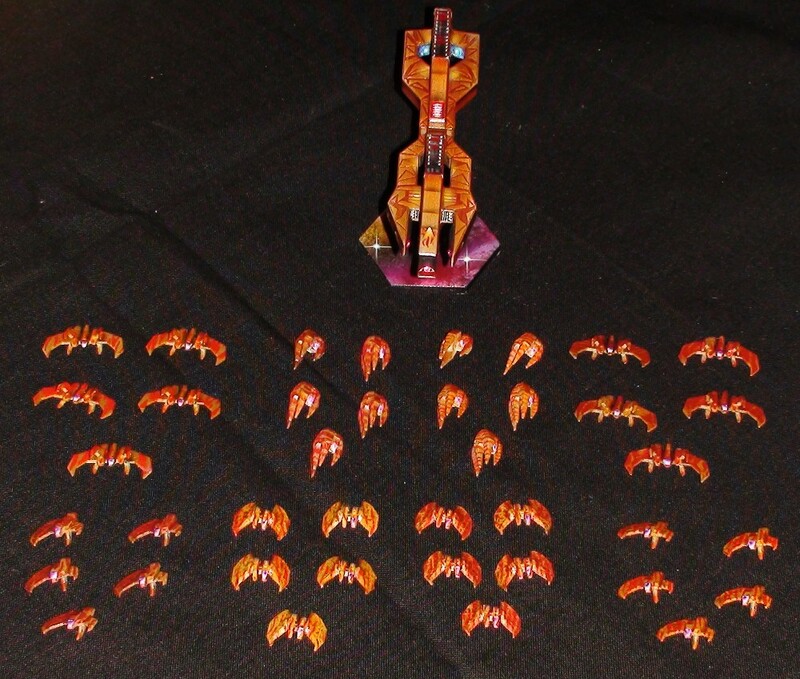 And while the Kilrathi Dreadnoughts are huge, they're obviously not to scale. Astro's expertise also extends beyond the physical. He's started a discussion on the thermodynamics of what keeps Kilrah red-hot in space years after the Temblor strike. What's the point of a table game about the liberation of Kilrah.. if there isn't a Kilrah!? Well, what remains of it anyway. It's just a big hunk of styrofoam I hacked up and used polyurethane glue to foam out and hold together the core. 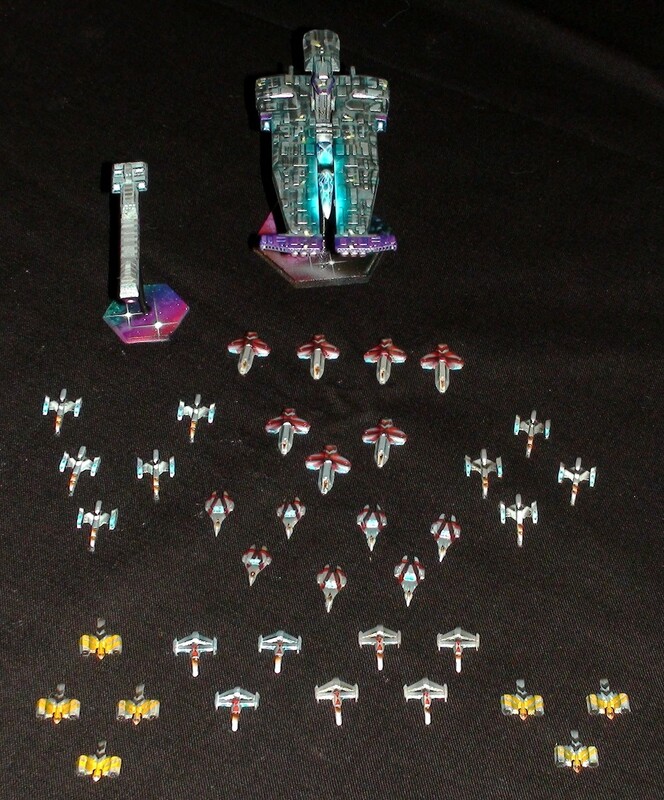 Pictures of the Midway and some of her fighters (fighter scale) coming soon. Klavs recently got the opportunity to see one of Tom Wilson's stand up comedy routine. 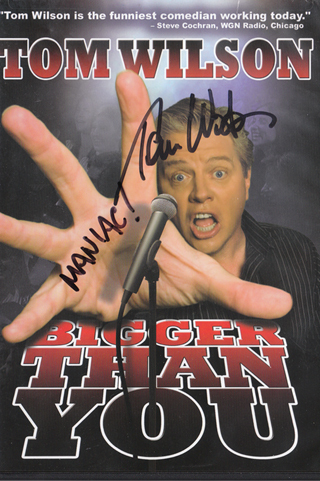 His fantastic review is right in line with most reports about Mr. Wilson's live performances, and he even got the Maniac to autograph his new DVD! The 2011 tour schedule has not been posted yet, but Tom makes appearances in different cities around the US about once a month. In between shows, you can follow him on Facebook or Twitter. Saw his act last night in Denver, he really is hilarious! Got up to pee during the opening acts and as I was coming back down the hallway into the venue he was waiting in the wings with his guitar. He held the door open for me and was very friendly. He has a lot of great Military jokes and USO stories. Afterwards got to meet with him and chat a little. Just a super nice guy, can't say that enough! He broke into a grin when I asked him to sign my DVD "Maniac!" I'm all a twitter! Tee hee! Happy sixteenth birthday to Wing Commander Armada Proving Grounds! 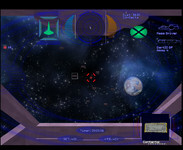 The game was originally released on the Origin BBS on December 20, 1994. 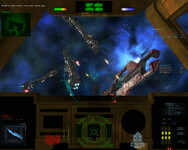 It added six-player arena-style combat and new networking options to the base Armada game. 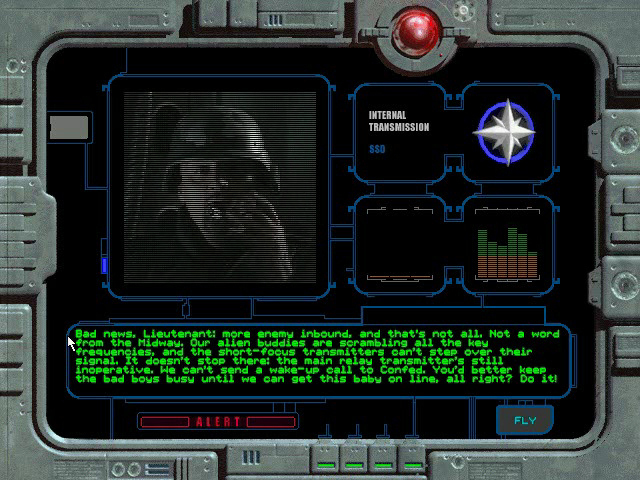 Proving Grounds was the first WC game to work over the modern internet via DOSBox and patches made by HCl. DOS emulation has been significantly upgraded over the years, which makes it even smoother and easier to play today. 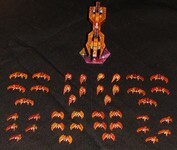 PG is free (565 k zip) to owners of Armada, and instructions to play online are available here. Pilots to your fighters! Proving Grounds is one of the rare pieces of Wing Commander software that was never released in a retail box. 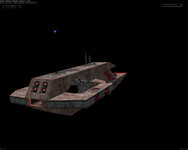 It was originally available at the Origin BBS as a free addon to Wing Commander Armada. 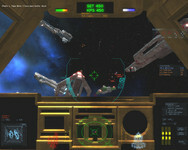 The game added ipx network support and extended gameplay options for up to six people simultaneously. 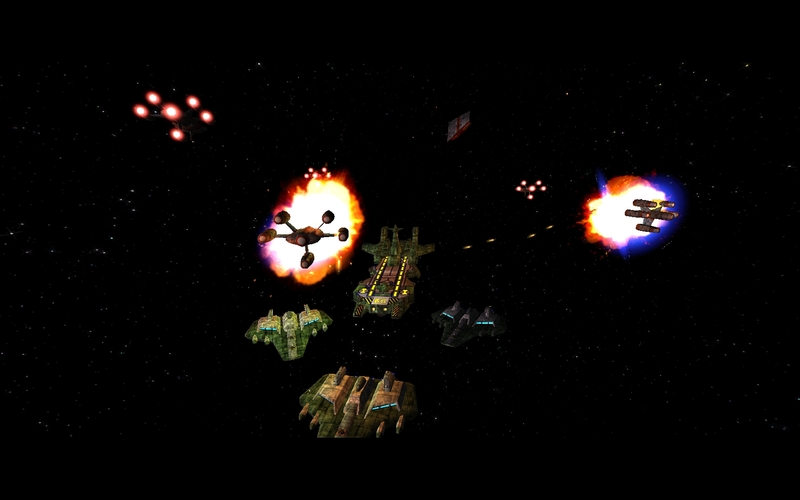 Proving Grounds has the best asteroids in any Wing Commander games. On their highest setting, asteroids show up on sensors and players can duck behind their radar shadows to evade opponents. 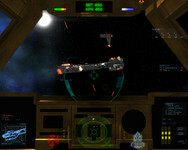 In flight upgrades are obtainable during some gameplay modes, including an exotic gun that penetrates and negates cloaking devices. Here's some higher resolution shots of the Wing Commander 2 Campaign in work for Freespace 2. That's a pretty sharp looking Ferret in the first shot, and the second image shows off one of the Concordia's infamous flight deck explosions. Deathsnake doesn't anticipate releasing the mod's Gwenydd series for a few months yet, but you can try the iniital test release here. Some combination of files is required. 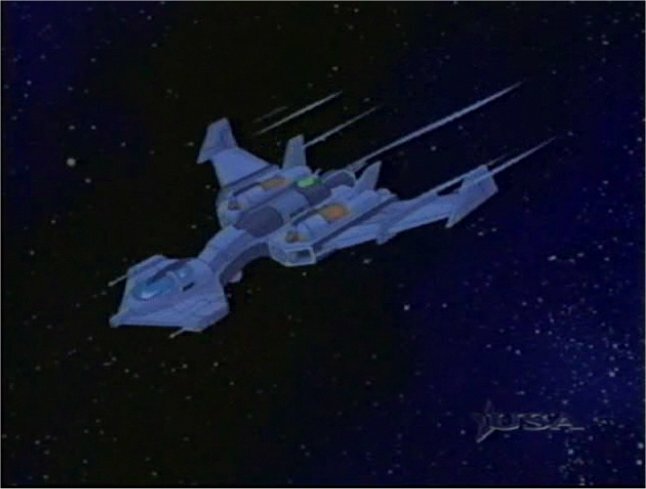 Followers of our Wing Commander IV Storyboards feature noticed that the Bearcat makes frequent appearances as the game's new premiere Confed fighter. 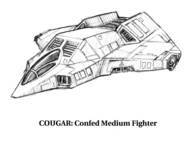 But before it was the fast and heavy Bearcat, it was to be known as the Cougar medium fighter. 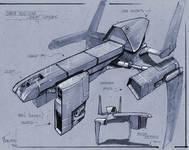 This batch of concept art uncovered in 2008 is a nicely detailed follow up to the storyboards. 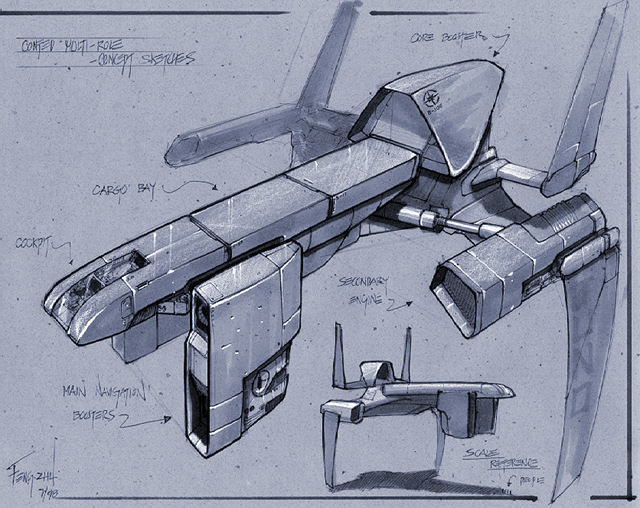 Today we have more behind-the-screens material from Wing Commander IV: six early sketches of the game's various spacecraft. 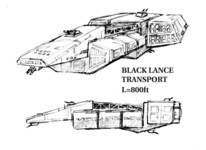 These are really cool - a length for the Black Lance transport, a more streamlined Dragon... a Bearcat with a different name ("Cougar")! In order, they are: Avenger bomber, Banshee light fighter, Black Lance transport, Bearcat, Lance (Dragon) and Durango (BWS Intrepid). The fans' encyclopedia on Wing Commander now has nearly 1300 articles, but as the WCPedia grows and grows, issues relating to structure and standardization become more important. Help in all areas is in great need, but you can also join the discussion on creating a stylebook here! One problem that I run into when I try to write for the WCpedia is that there's no agreed upon stylebook. For an easy example, do I call refer to 'the Confederation' or 'the Terran Confederation' (and then, with or without the definite article?). - Identify what needs to be decided. ... then other proper nouns, like what we call the different wars. 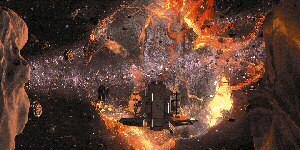 Is it the Terran-Kilrathi War? The Kilrathi War? The Galactic War? The Terran-Kilrathi WarS? Virtually the entire catalog of EA games is now on sale in the iPhone/iPad App Store. 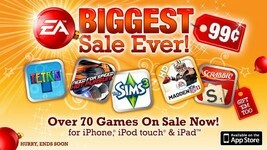 Some seventy titles are discounted to 99 cents. The promotion is timed in sync with the launch of the company's Pogo app, and it also ensures that EA games dominate the sales charts during a critical sales week. You can find the listing of games via iTunes here (iPhone/iPod) or here (iPad). In other iOS news, The 7th Guest, The Fatman's other famous score, was just released on the App Store last week. There's been more progress in the online version of Wing Commander TacOps. 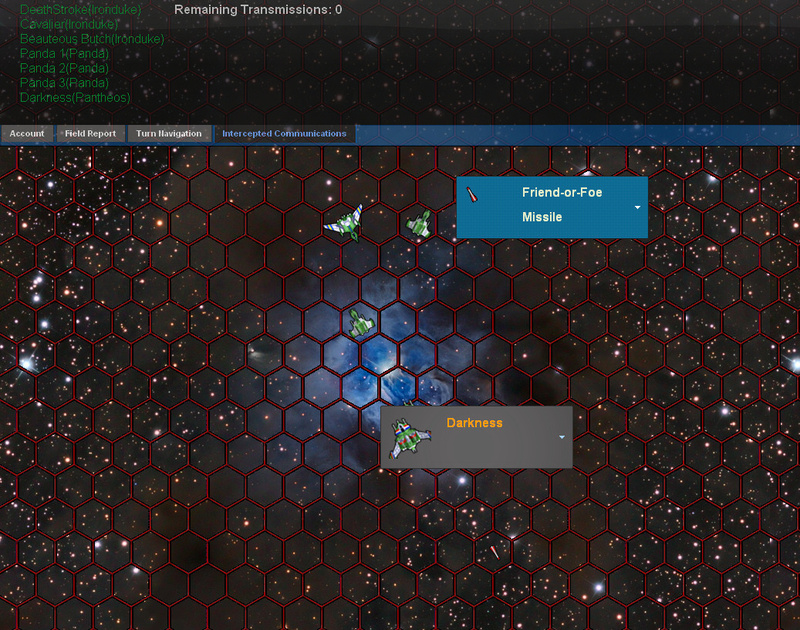 Under the hood, Avacar has programmed in email integration that informs players when a new turn is ready. 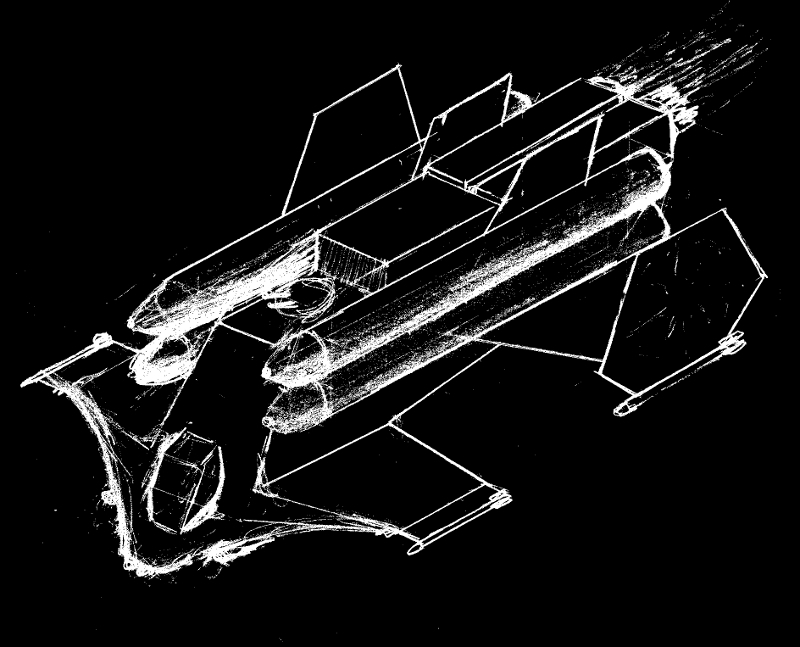 There's also been a lot of experimentation with the missile and anti-missile systems. The current test game (best viewed in Firefox) shows Friend or Foe missiles in flight while pilots attempt to take advantage of their point defense and chaff systems to avoid getting hit. The testing is finding a lot of good issues, and the team is working through them. Three new features have been added to the system (for testing). First, emails sent out should now contain a link to the current turn/phase. 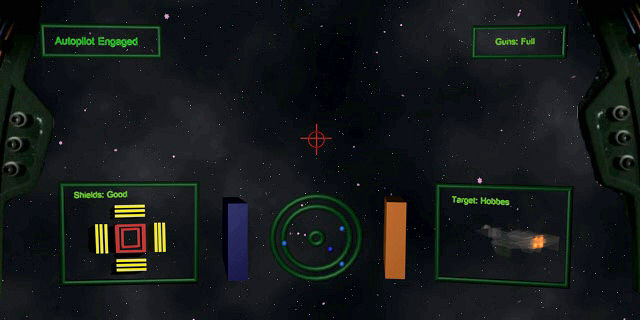 Second, when you submit an order, the 'intercepted communications' tab should reload on the fly, and move the ship over to the green side. Third, if you're correctly logged in, you can click a red ship you pilot on the 'intercepted communications' window to pull up its orders window (this is an alternative to clicking the 'orders' button on its ship pop-up). None of this has been tested, so feedback is appreciated. The high def remake of Frontier - Prelude to Darkness is moving along, but it's taking a bit longer than originally expected. lew82 has put together a comparison shot to show what's taking so long. The new visuals are pretty impressive. Because of the new timetable, lew is asking if fans would like more high quality remake chapters or the next episode in the story. You can let him know what you think at Crius.net. As you can see in this picture here, the differences between Scene 2 when it was originally made in June 2009 and how we’re progressing now in November 2010 – the show below is without any trees and still needs colour correction, but it gives you an idea how much of a change we’re going to have. 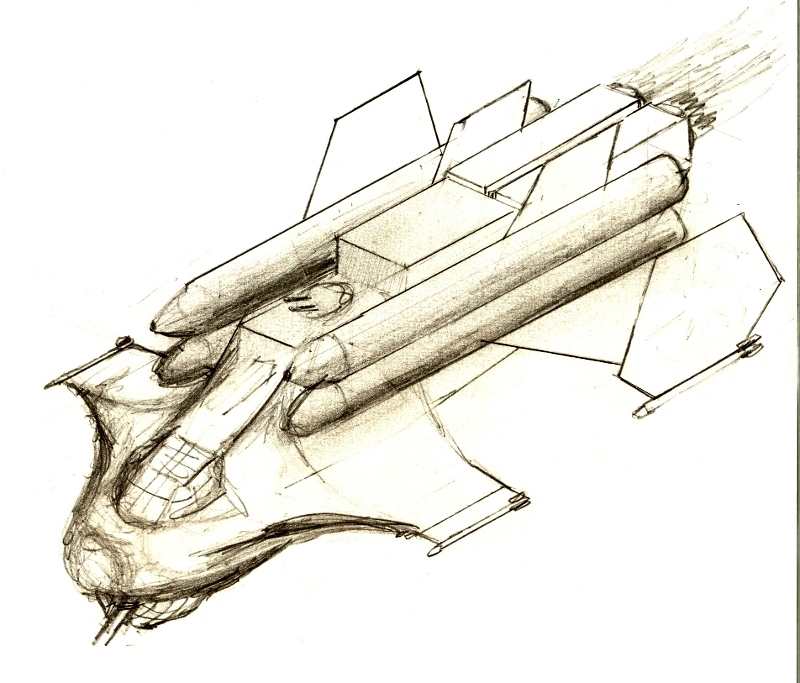 AD has moved on from his Rapier sketch to map out what a hybrid Broadsword might look like. Surprisingly, angling the rear vertical fins and adding a fairing to smooth the angle between the nose and wings makes a pretty big impact. The result is a something like a classic Broadsword that has an elongated fuselage to handle those large torpedoes. The WC2 Broadsword cockpit is lower than the rest of the ship so here I've adapted that aspect along with the forward wing concept from the film to marry the broad cockpit area with. The width of the ship in general more matches the movie ship with the rear wings not extending out as much as the WC2 wings. 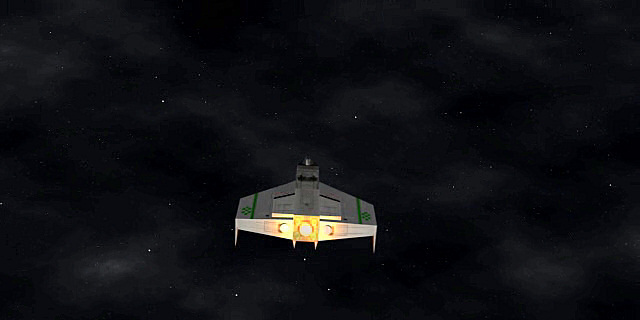 Engine elements are also more along the film's design with the game's rear fins added on their sides. 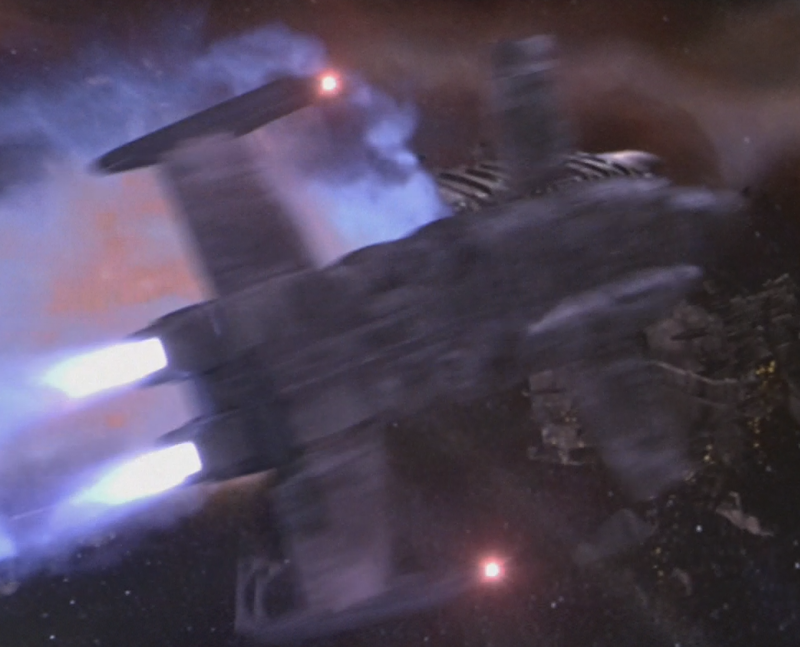 And obviously the most overt movie element are the exterior mounted capship torpedoes. I didn't bother drawing in the side and rear turrets though you can imagine what they would look like. 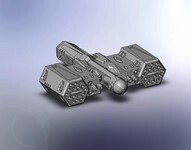 I've also taken the liberty to add a top mounted turret just for fun. Also, the missiles on the rear fins are something from the movie Rapier that I think are ultimately uneccessary, at least in that particular placement. Scene 373 shows the 'losing ending' in which Tolwyn invades the Border Worlds. 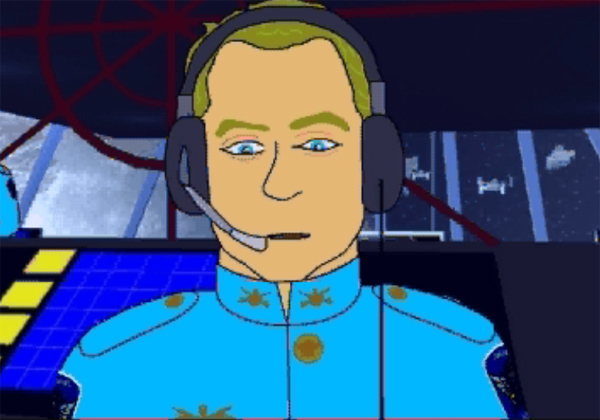 It is also our last set of Wing Commander IV storyboards! We hope you've enjoyed this feature and will continue to work to bring you long lost behind the screens material. These storyboard images were recovered from a backup CD containing materials belonging to Origin's web development team. They were dated November 17, 1995 and were likely planned for a never-completed web feature. Astro Commander has finished painting a amazing sight. Not only did he design quite the armada here, but he's beautifully airbrushed each craft with lifelike detail. 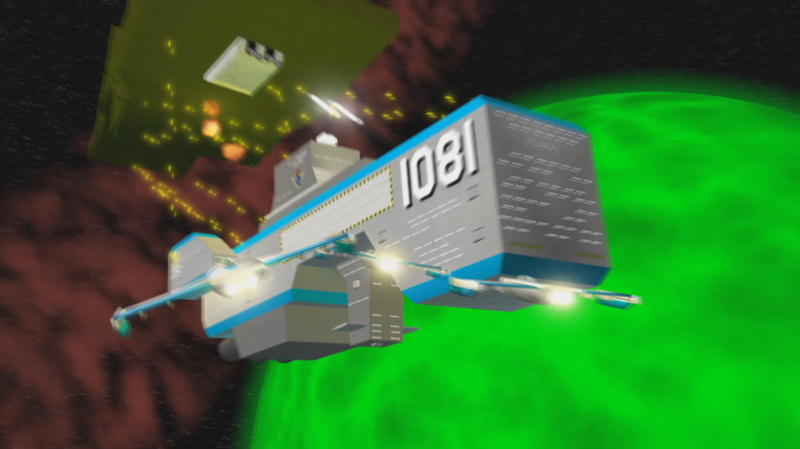 Even capship running lights and the plasma gun on the Midway seem to crackle with energy. 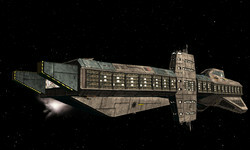 This is also the first time we've seen the Confed cruiser and most of the Nephilim ships. 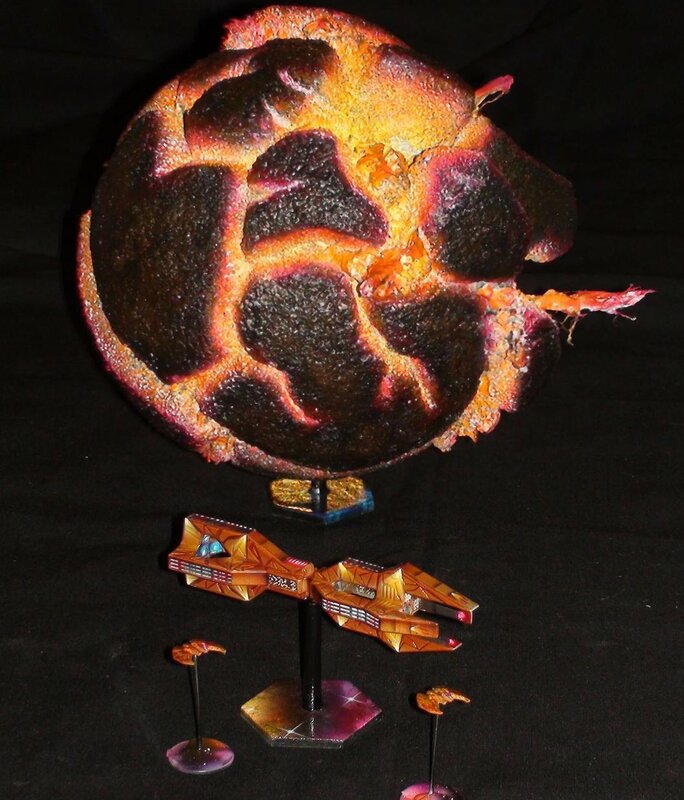 Wingnuts can order ships here, but the painting talent will have to come from you! 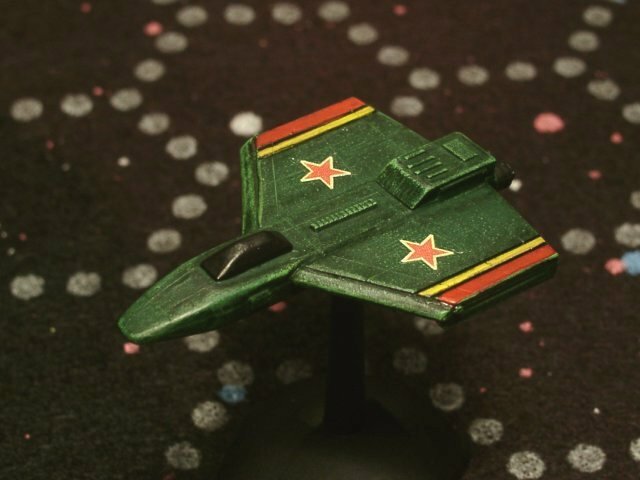 I got some of the fleet scale fighters painted. 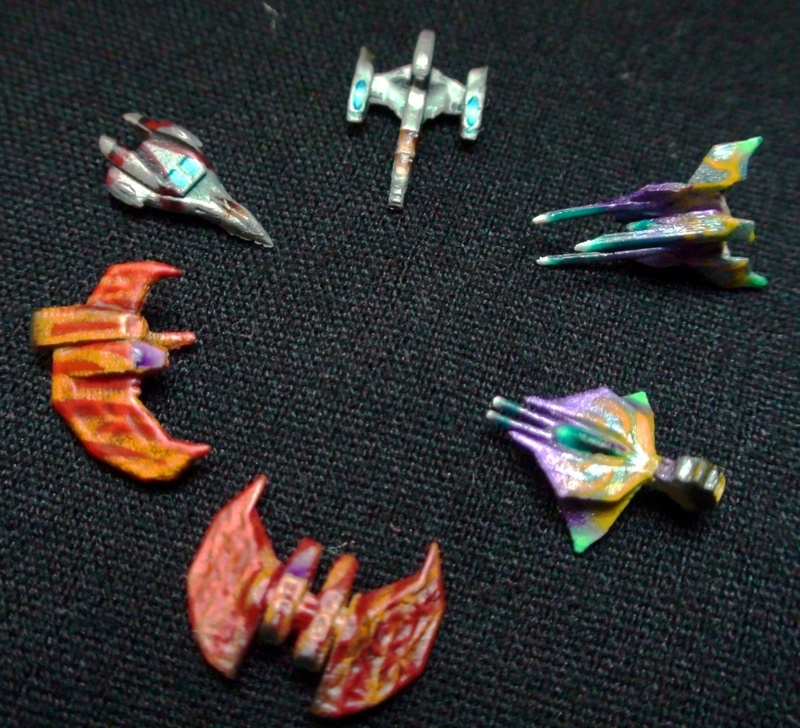 These fighters are smaller than a penny, generally. 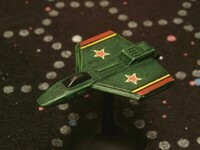 First the Confed fleet, granted as I represent 1 fighter model = 10 actual fighters this is way too many for the Midway. But there will be more carriers soon and other ships. 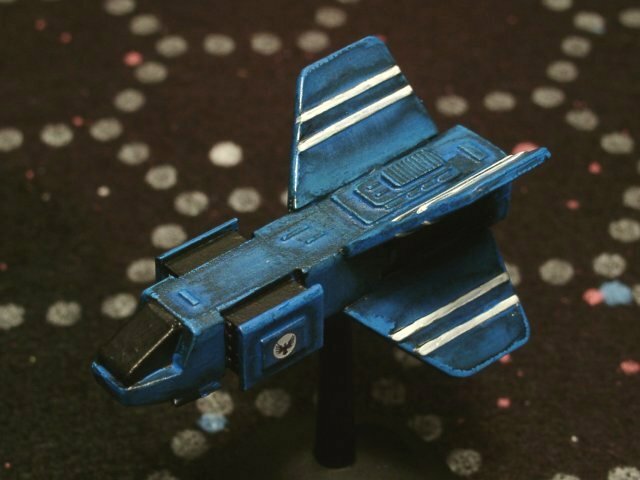 They are a little sloppy, but keep in mind this was all done with an airbrush where a fighter is roughly the size of the nozzle assembly. Scene 361 is the end of the 'good ending', complete with title card. 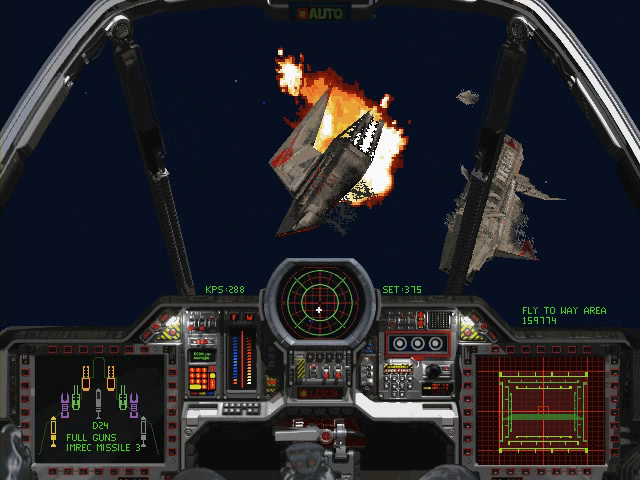 Note that Blair flies a Bearcat, seemingly the game's signature fighter, in this version. 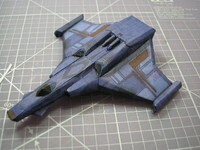 In the finished game he flies a Banshee. Kevin Caccamo continues to work on a demo for his Wing Commander Hostile Frontiers FS2 mod. 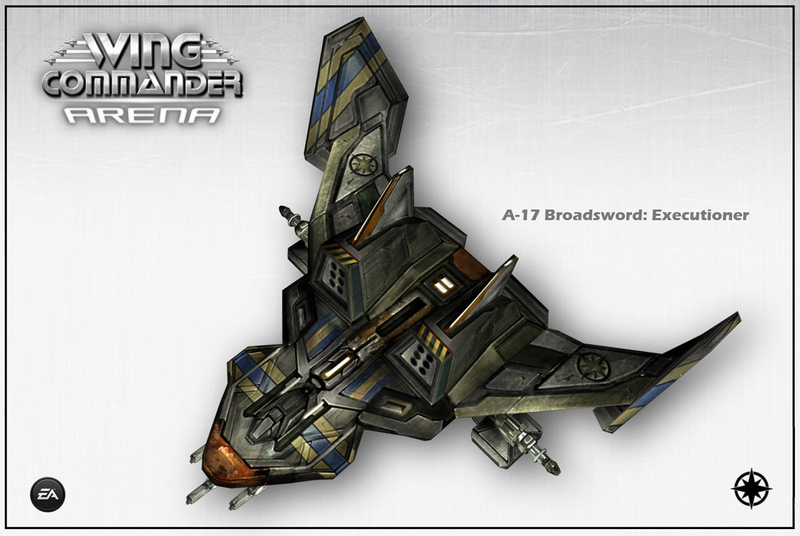 He's integrated the popular Kilrathi Ralaxath into the engine and finished out his Landreich fleet. 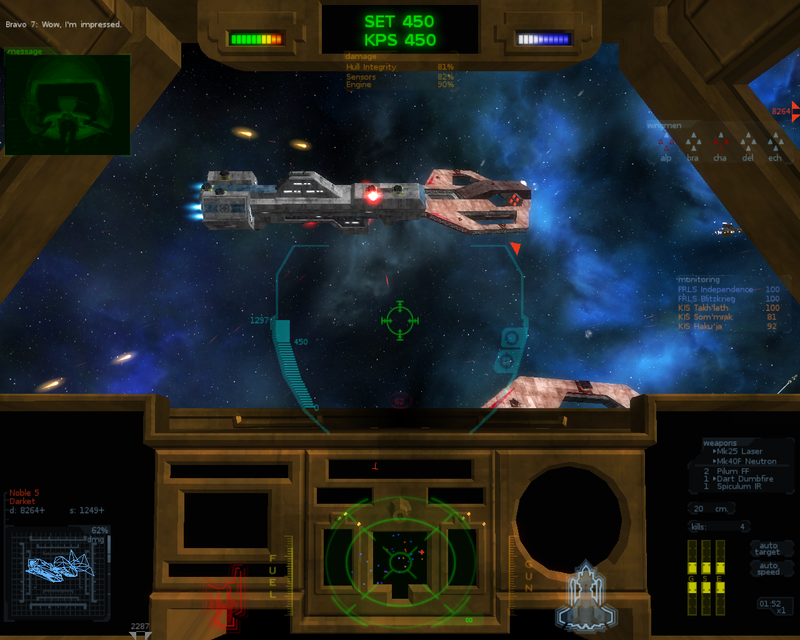 Cockpits and user interface improvements are up next. Here's some shots of the cruiser. If I had to rate the progress of the WCHF demo from 0-100%, I'd say the demo is at 70%. 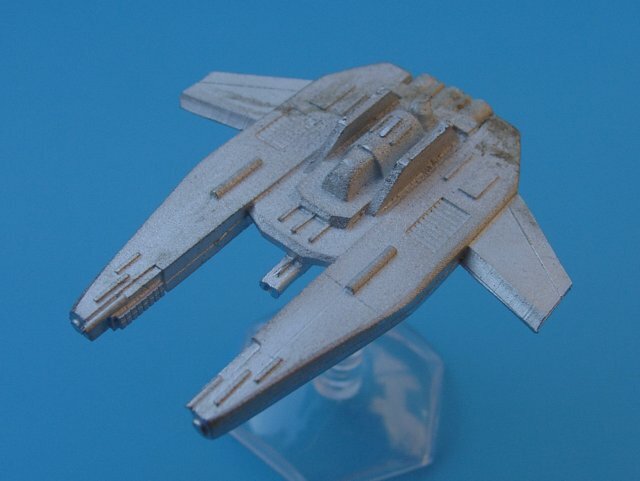 Kilrathi ships update: Thanks to JasonRocZ, I now have a Ralaxath model! 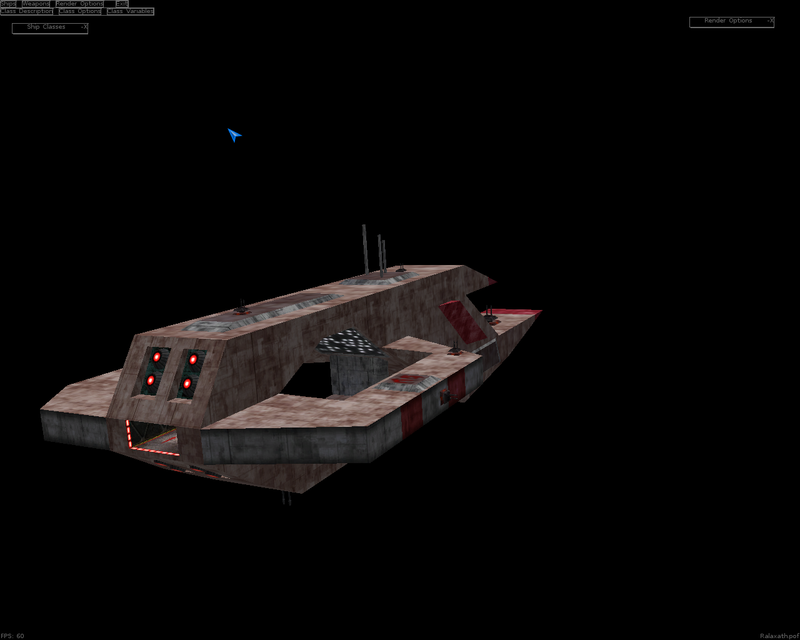 The geometry was cleaned up, details were added, and the whole model was remapped from scratch. 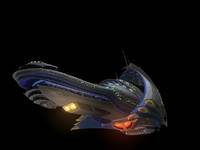 The Ralaxath was the last Kilrathi ship I was waiting on for the demo. 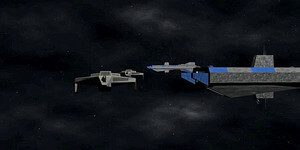 Landreich ships update: All of the Landreich fighters and capships that will be used in the demo are now in place. The fighters may need to get recoloured to be accurate to the Landreich colours in FA, and the Scimitar texture will need to be redone at some point. The Wake and Exeter will need to get returreted, recoloured, and rebalanced. 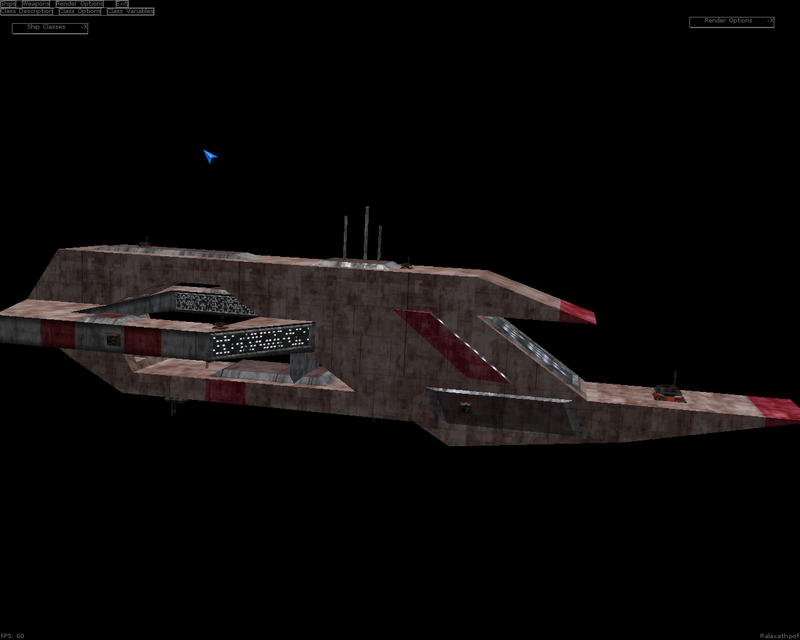 But other than that, the fighters are balanced and usable. Scene 360 shows us Paladin--looking a lot like he did in Indiana Jones--for the first time as Blair explains that continuing to fly does mean that he 'has everything'. It's been several years since Queeg's Wing Commander 3 movie set download records and gave Wingnuts a concise way to relive the game. Lots has changed in the time since, and new source videos and production software finally makes a modern remake worthwhile. Queeg has set out to redo the movie again with higher quality cutscenes and updated gameplay footage. He's even looking into making his own CGI animation to power the space battles. You can see a two minute sample of the new format here (20 meg Xvid). 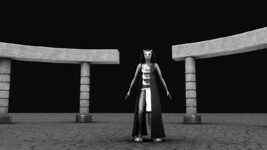 I'm currently making a new Wing 3 movie from scratch. Thanks to Mario's extraction tool, I'm able to rip the videos off of my PSX discs directly to uncompressed AVI. I'm editing the uncompressed AVI's directly so they can be encoded straight to the final product, retaining as much quality as possible. Scene 359 is the opening of the 'good ending', showing Banshee coming and going from the Intrepid. The sketch here seems very similar to the finished opening. Astro Commander is busy working on painting Confederation ships and trying to get Nephilim fighters produced, but while all that progresses, here are the origins of his miniature models. A 3D model forms the foundation of each of his designs. 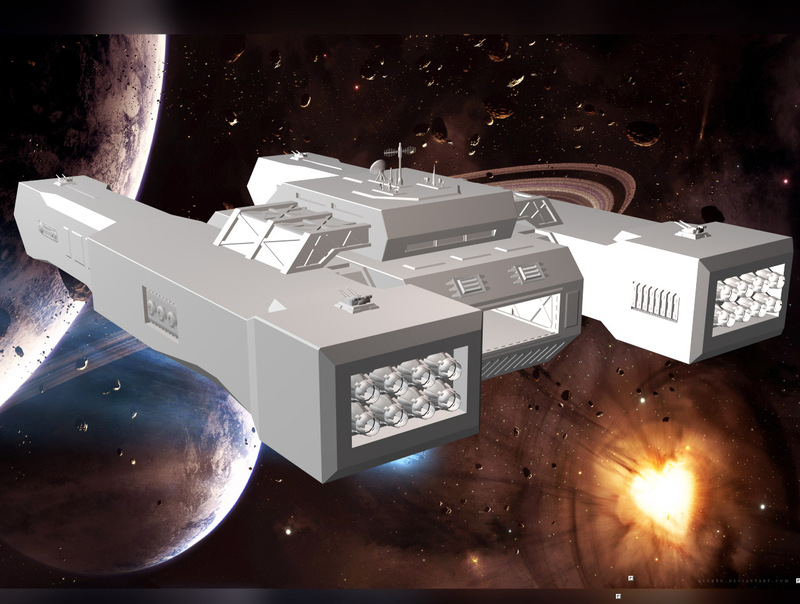 The ships all look very much like their original counterparts, but sometimes slight compromises need to be made to reinforce the structure of the physical products. You can find more info on how Astro got everything together at the aptly-named Starship Combat News. Scene 319 is a CGI sequence that did not make it into the game, showing the Vesuvius rapidly leaving Axius station. 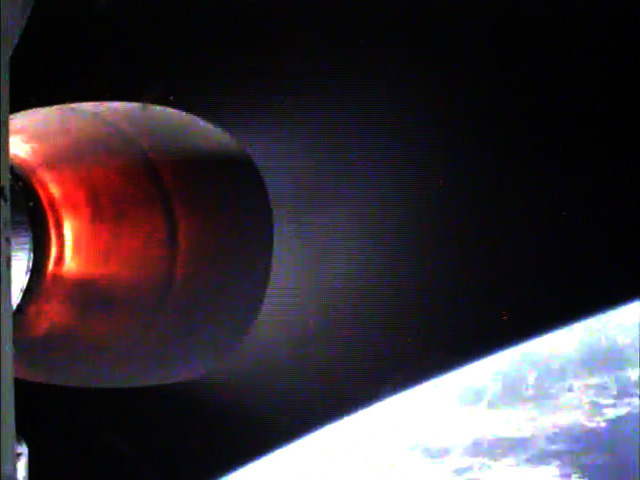 Earlier this week the SpaceX Dragon became the first space craft to be launched into orbit and successfully re-enter the atmosphere while being operated on behalf of a private company. 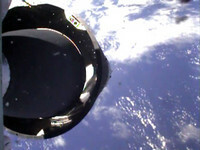 The other entities that have accomplished this to date are the United States, Russia, China, Japan, India and the European Space Agency. The goal is for the cargo version of this pod to begin carrying supplies on behalf of NASA to the International Space station in about a year and astronauts a few years after that. 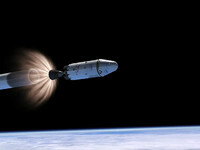 Several other companies are developing competing ships designed to supplement SpaceX's capacity and increase commercial access to space. 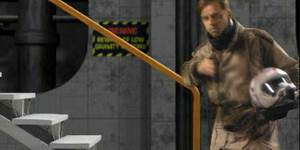 Scene 317 shows Blair's quick getaway from Axius. Klavs had a pretty cool idea here. 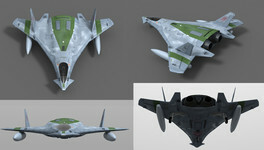 He's re-imagined the classic F-36 Hornet light fighter with a sleek wedge-shaped body. 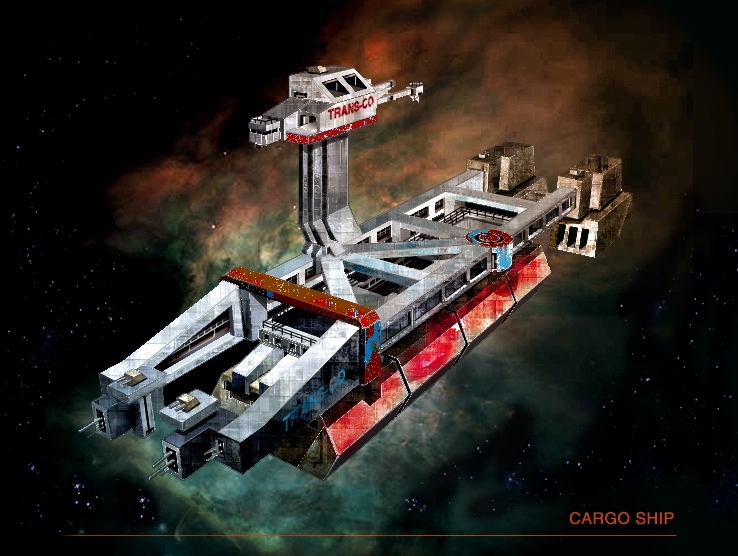 It's quite a redesign of the ship, yet it has just enough key elements in place to make it look like the familiar craft from WC1. 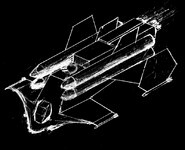 The shots below show the evolution of the design. 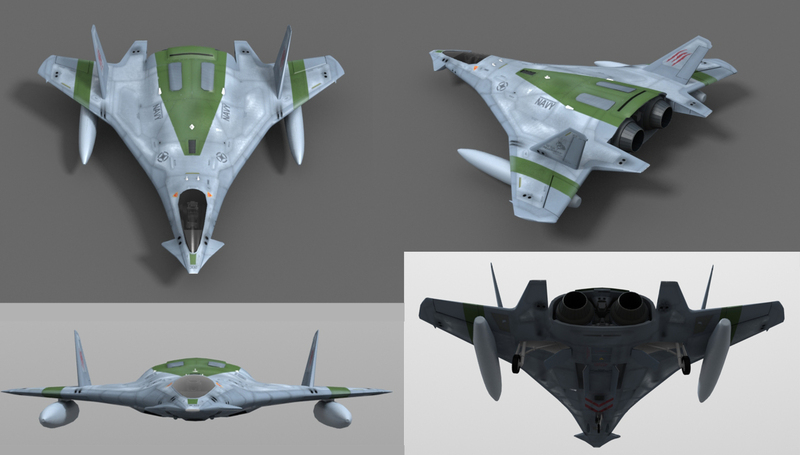 The forward canards and wingtip lasers/probes really seal the deal. I was sitting in an A-4 cockpit this weekend and it just really felt awesome to be sitting in such a small powerful aircraft. 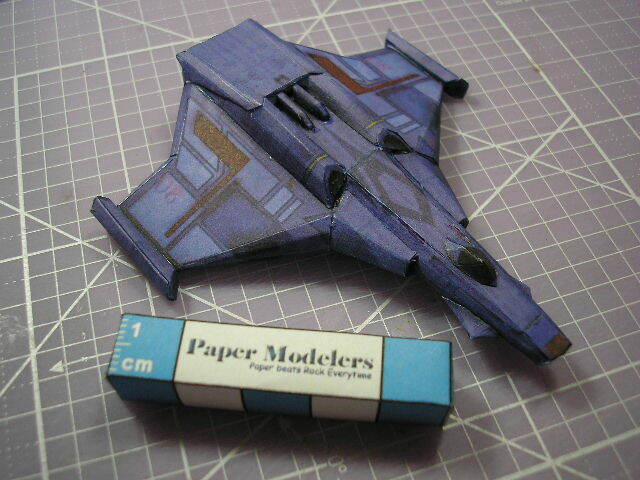 Definitely an inspiration for this Hornet. 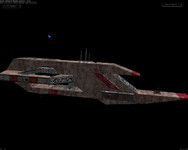 Scene 297 - Blair lands on Axius and then watches in wonder as the Vesuvius docks with the station. NinjaLA has completed another Kilrathi War propaganda poster done in WW2 style. 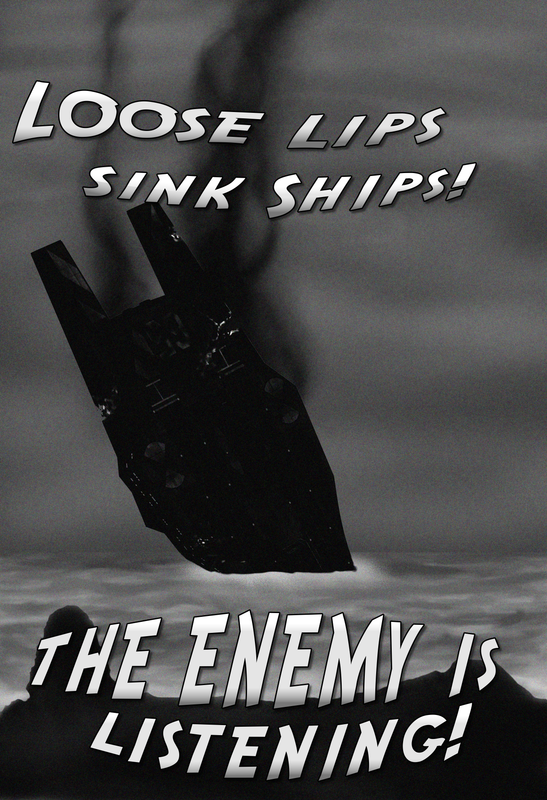 This one features a sinking carrier and a warning to those who might compromise operational security. There's also a high res version for poster prints. 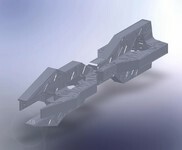 Check out the previous designs here and here. I know it has been a while, but I intend to finish a few of these before the year is over. also I intend to fix the text on the first two. 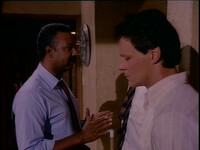 Scene 290 has Doctor Clivers teaching Blair about 'DRT'. His medical logo looks very similar to the Confederation Rear Admiral's insignia. The TCS Wellington from the WC Saga Prologue has received a graphical upgrade for the full release. It's come a long way over the last four years, and this should be the final design render for the classic light carrier. Hopefully most of the detail remains in the game engine. You can provide feedback at the Saga website. 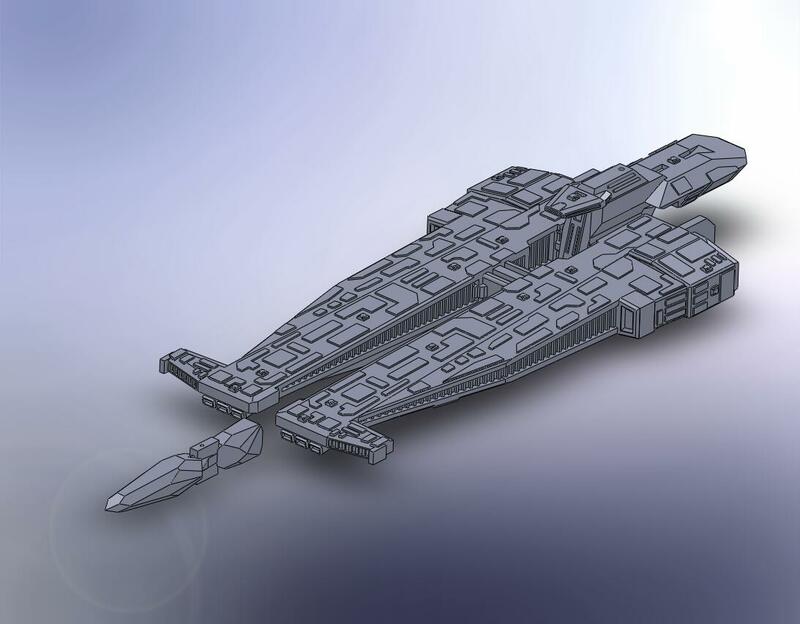 For this update, we like to show our final variant of the Yorktown-class carrier. 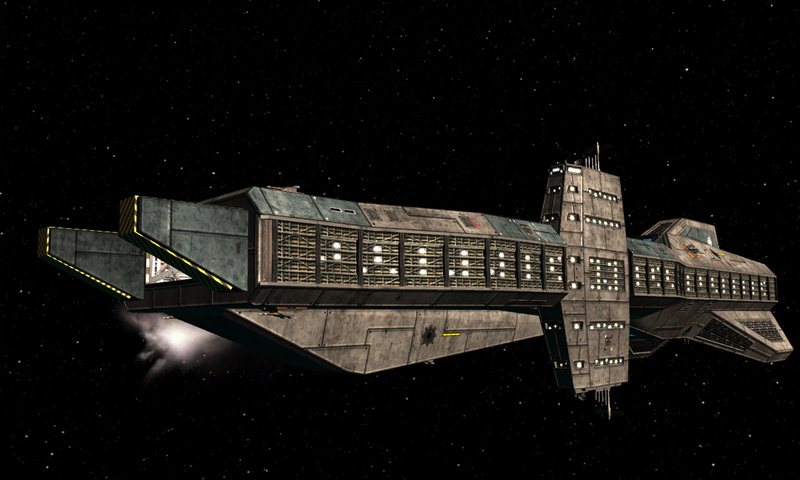 This venerable light carrier was first seen in Wing Commander 3, where the main character flew off the TCS Victory. People who have played our prologue would also remember the TCS Wellington, the carrier that played a big part in the main character’s training. 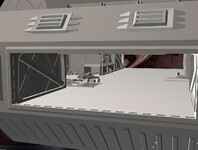 The player can expect to see other Yorktown-class carriers throughout the campaign. 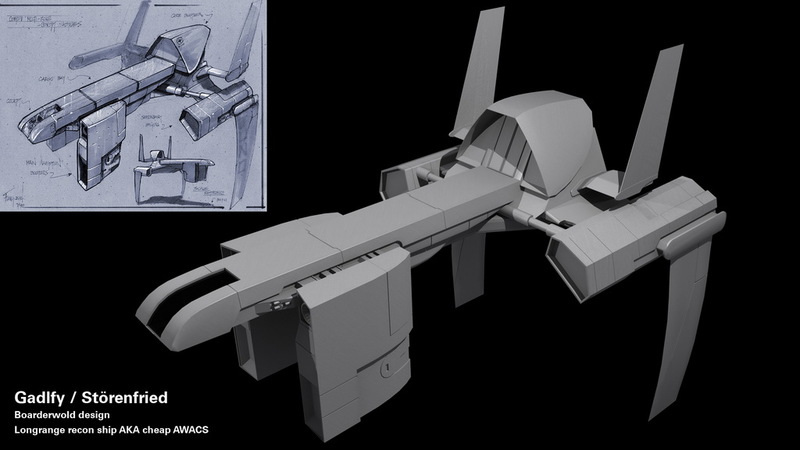 Scene 279 is the famous sequence where Pliers 'discovers' the flashpak--note the design for the Lance, which is similar to the finished version but not quite as... boat-like. Lars has taken one of the cool Feng Zhu concept art sketches and rendered it into a more three dimensional ship. The subject is a a large Confed "multi-role" vessel designed for an unproduced Wing Commander game. 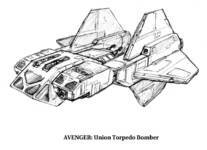 He's decided to describe it as a possible long range recon craft. 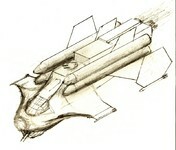 Although Lars is pretty humble about his recreation of the design, I actually think it's quite true to the original. 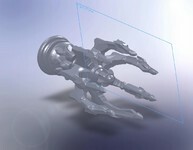 You can help provide feedback and read about the model's back story at Crius.net. I know the model isn't a 100% replica of Feng's art. When I have time again I will work on that, but for now I think it will stay like this. 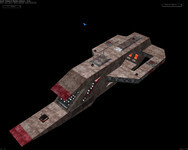 Scene 248 is what happens if you didn't rescue Catscratch--another sad burial at space. Either way, don't expect to see Catscratch appearing in many more cut scenes. Art Wong is a digital artist that worked on several Origin games. 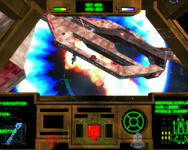 Mr. Wong worked on Ultima 9: Ascension and Wing Commander Prophecy among others. 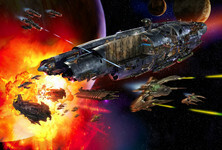 He also created designs for some of Origin's most famously canceled games such as Ultima Online 2 and Privateer 3. 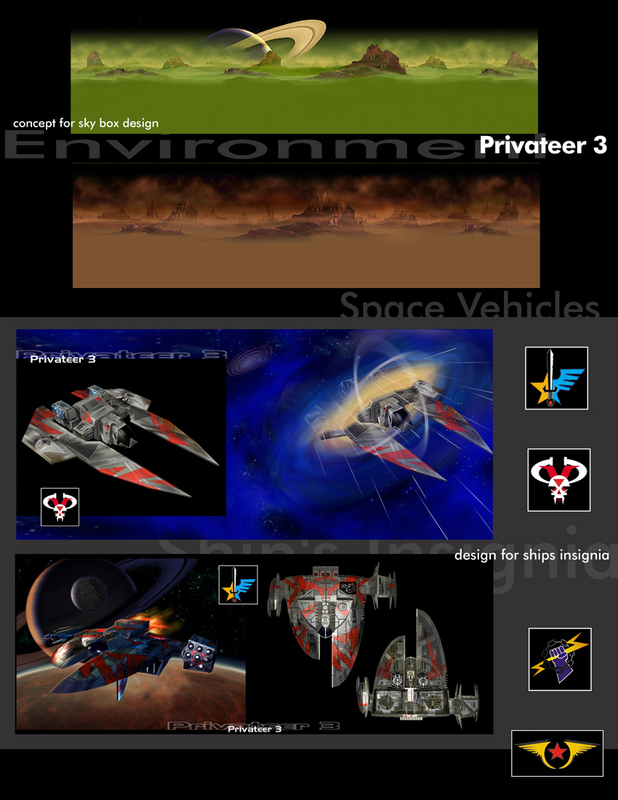 You can see samples of the work on unreleased Origin games at his portfolio blog. Note the Privateer 3 piece to the right. There's some interesting angles on some of the ships seen before in concept art. 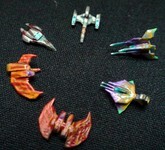 Check out the awesome ship/faction insignias as well. 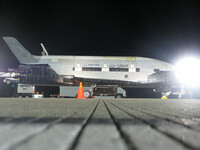 The first X-37B returned to Earth yesterday after a successful orbital test flight lasting about seven months. The small ship is the second US craft (after the space shuttle) capable of launching into space and landing in order to be used again. 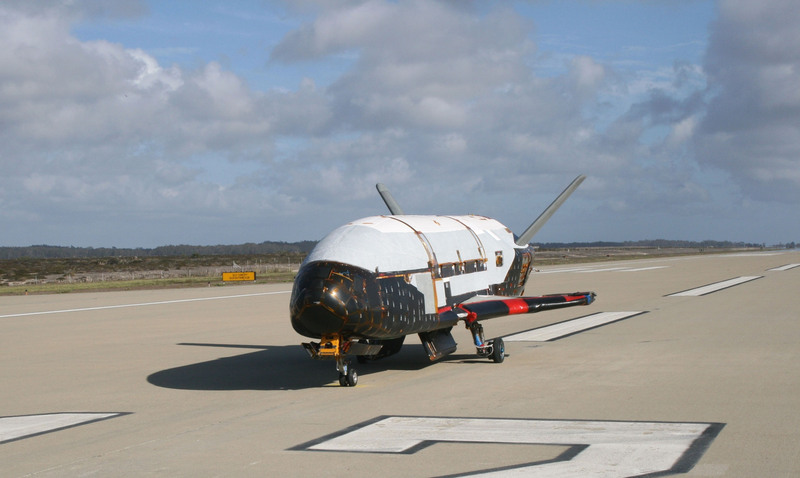 It's the first such reusable shuttle that's unmanned and capable of being remotely piloted. The X-37B program is demonstrating a reliable, reusable unmanned space test platform for the Air Force. Its objectives include space experimentation, risk reduction, and concept-of-operations development for reusable space vehicle technologies that could become key enablers for future space missions. Scene 220 is just one image but it's a great one--and what excellent wording: "The Intrepid 'shoots the gap' and joins the armada." 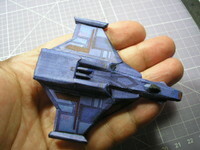 Bob McDob has found some interesting photos of the model minatures for the game Squadron Commander Reheat. 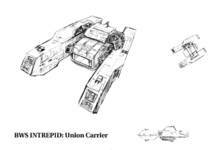 More than a few of the ships seem to be heavily inspired by various sci-fi franchises, and a couple look like familiar Wing Commander craft. The Longbow and Hellcat are obvious, but the third seems like some hybrid of the Heretic and Freij fighters from Privateer 2. Seem like a stretch? 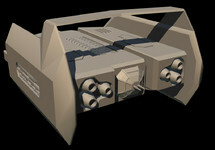 Check out the original Squadron Commander news post from 2001 that includes ships nearly identical to these P2 designs! What's this? 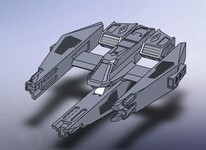 It looks a bit like a Heretic - but the forward claws are too thick and the ship in general is too wide and bulky. Yet not bulky enough and too sleek to be a Freij. It's like a Freijertic! 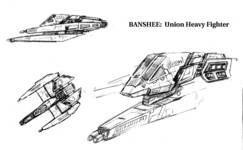 Scene 219 includes the one famous Wing Commander IV storyboard, with a Banshee flying past the screen. This is the 'jump in' for the Circe series, where the Intrepid joins a Border Worlds fleet. 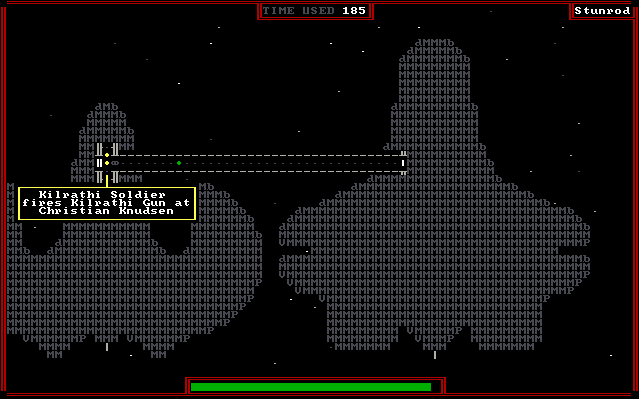 Ascii Sector has been updated once again with a very mixed bag of bug fixes and gameplay improvements. The latest tweaks make a lot of sense: if a Confed ship is attacked during a contraband scan, it'll immediately retaliate. 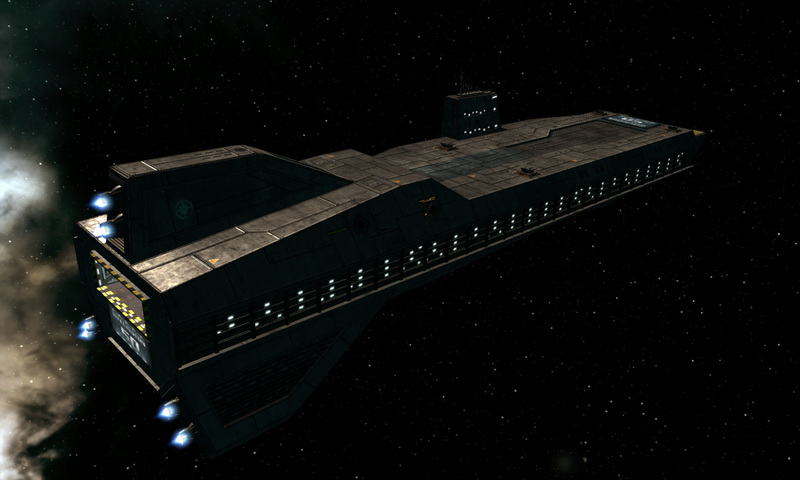 Fleets can also only be built in systems that a faction completely owns rather than merely occupies. 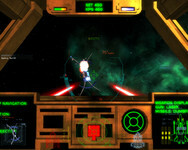 Download the game for multiple platforms here. - Fixed infinite loop bug when jumping. - Fixed disappearing wingman bug. 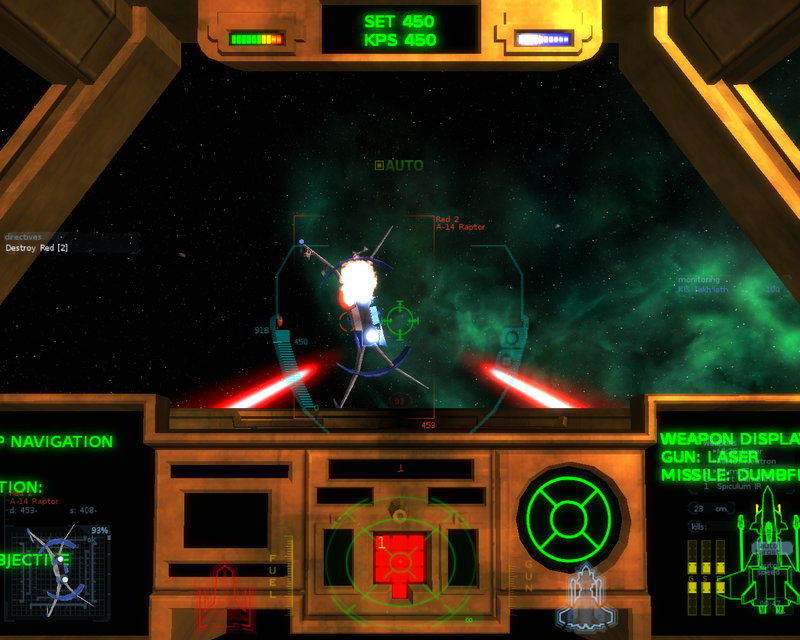 - Fixed bug that caused messed up ship names on the target display. 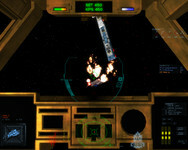 - Fixed bug that caused non-locked missiles fired by the player to not impact neutral or friendly ships. 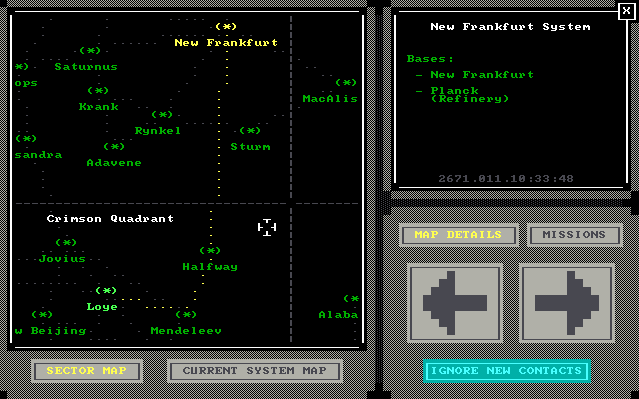 - Fixed minor bug with the Join Raid mission (sometimes the mission details in the Quine or nav computer would state the wrong number of Hunters). - Fixed bug that allowed you to move stuff from your backpack to the locker wherever you are. - Fixed various bugs with fleet event news entries. - If a Militia or Confed ship gets attacked while scanning for contraband, it will now stop scanning and engage the attacker instead of continuing the scan. - Ejected Retros are now also purple when scooped. 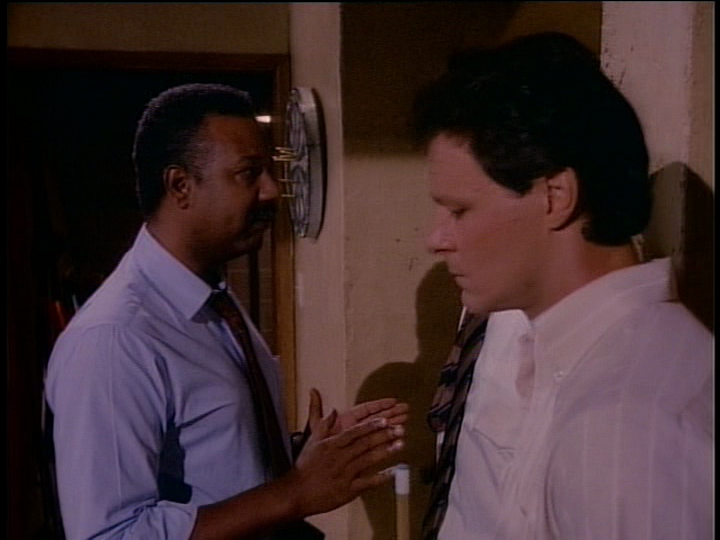 - If a fixer's mission has expired, he will now tell you so instead of allowing you to still accept the mission. 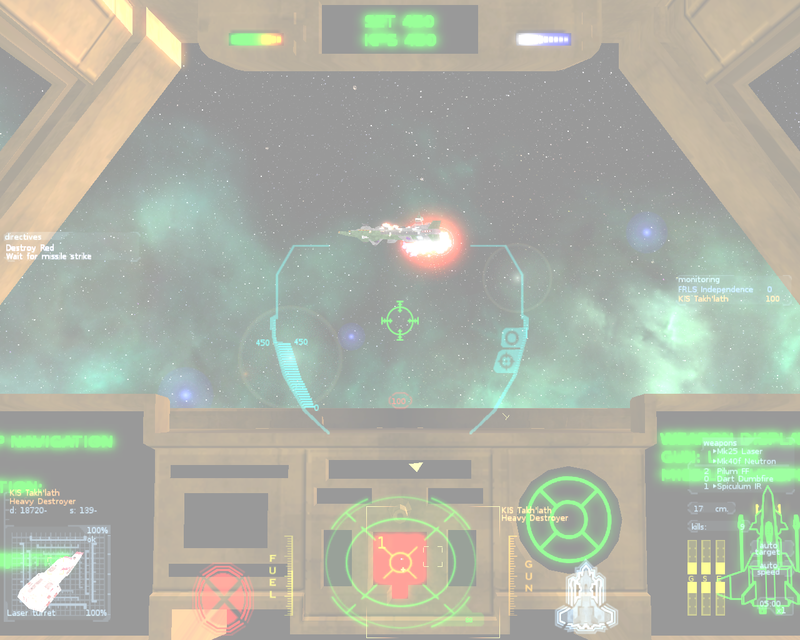 - Redid the redout effect when your ship's armor is hit. - Captives can no longer be transfered to the Lucky Lady. 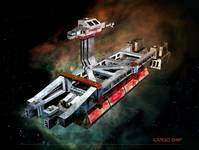 - The Lucky Lady casino ship is now mentioned on the system and sector maps. - You can now quit the game by closing the window. 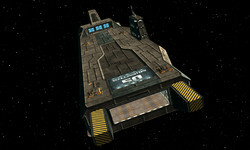 - Comm messages won't affect a fleet ship's attitude anymore. 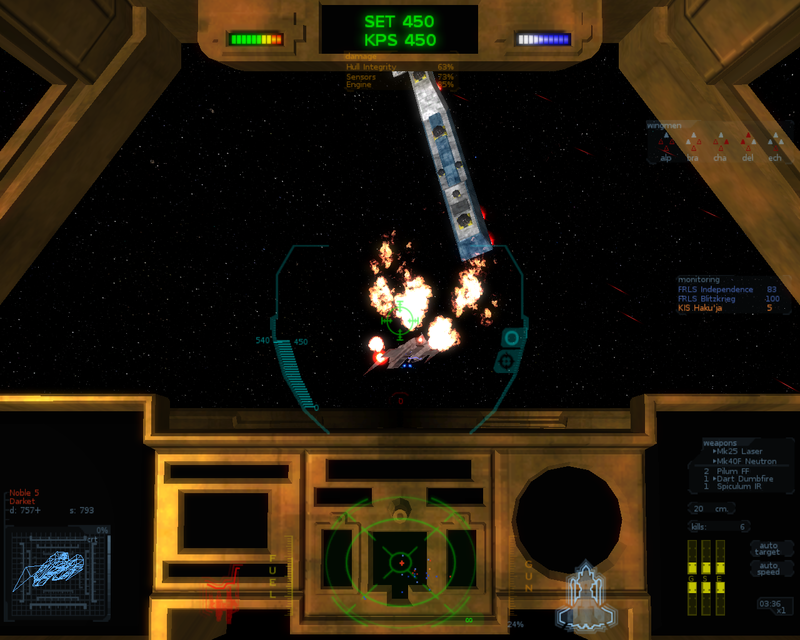 - Ejected pilots from a fleet ship now have the attitude of the fleet's faction, not the ship they ejected from. - Used Brilliance Ampules and Refined Ultimate can now be combined to take up less space (like ammo clips). 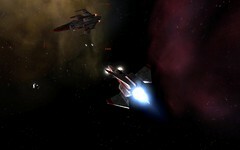 - If an enemy ship has retreated once, it won't do it again. - For missions that require you to deliver cargo to a ship, the amount of cargo will now always be in accordance with the target ship's type. 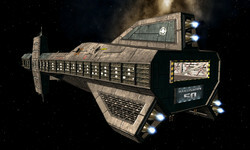 - Fixed bug with newly built ships not getting the attitude of their lead ship. 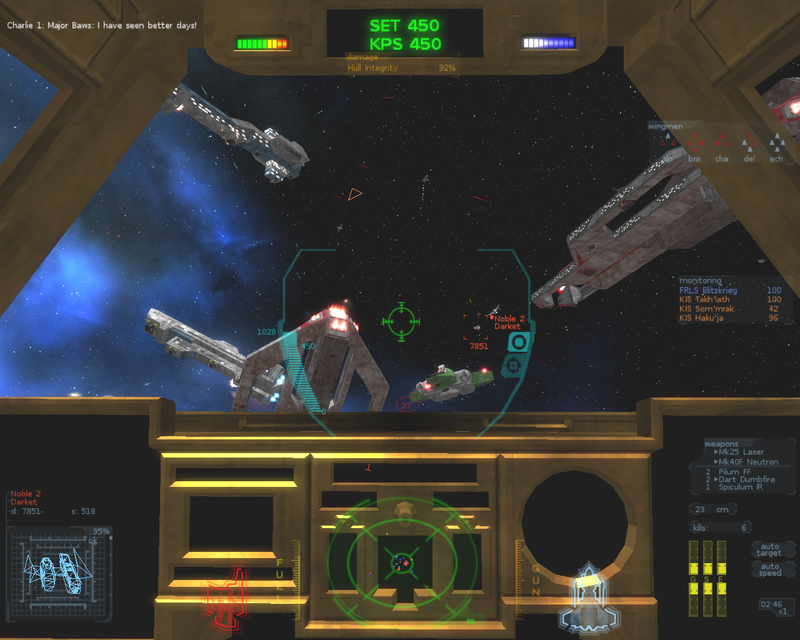 - Fixed bug that would crash the game when a fleet was trying to attack a fleet under construction but with no active ships yet. 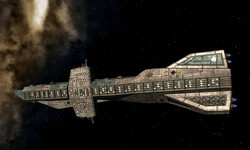 - Made sure fleets will only be built in a system that's under the faction's control -- not just occupied. 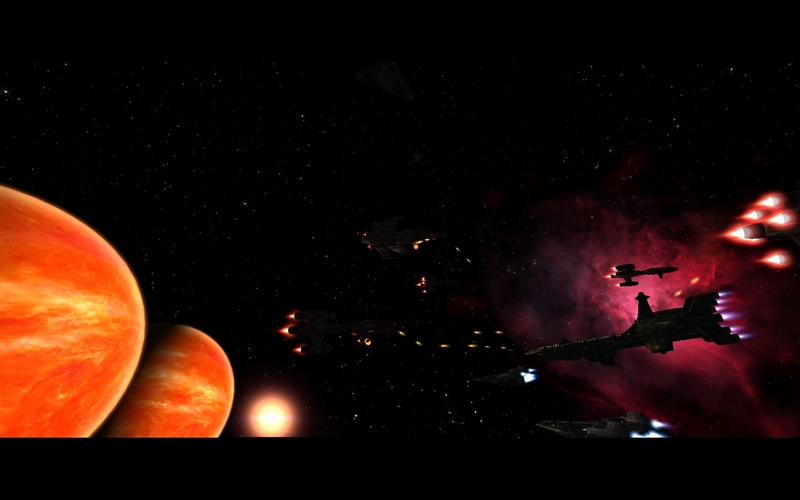 Scene 218 was worth the wait--a far more impressive cutscene of the action on Circe X! The scene looks like it would originally have involved live action soldiers and a massive bombing run of Banshees. 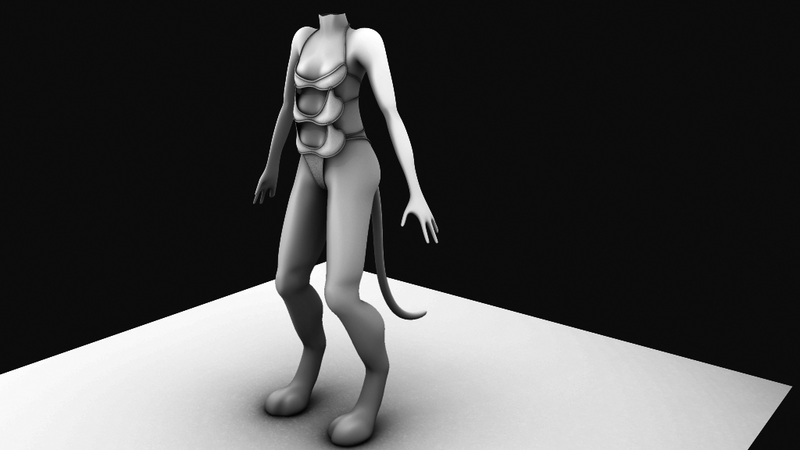 Michelle D has found a cool use for the super creepy Kilrathi female model. The character has been redressed in a priestess outfit and positioned under a set of Firekkan arches. The Kilrathi guards will be added next. It should all look pretty good with some color as the details fill out. Scene 213, exit Tolwyn--who, in this version, leaves onboard a Hermes-style Border Worlds shuttle. 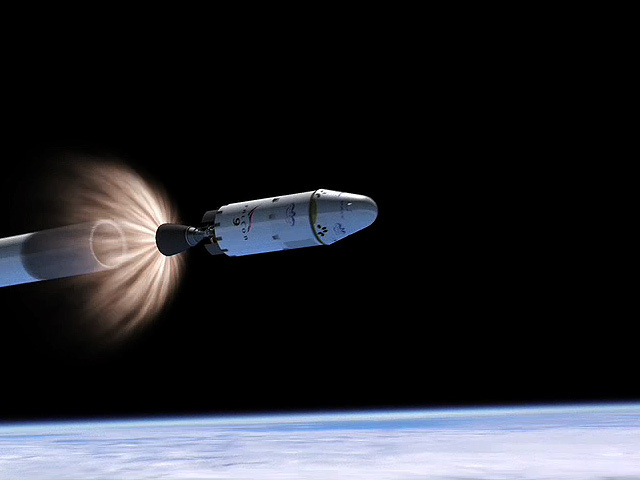 I'm glad they didn't go through the expense of building two different shuttles in order to get this shot.